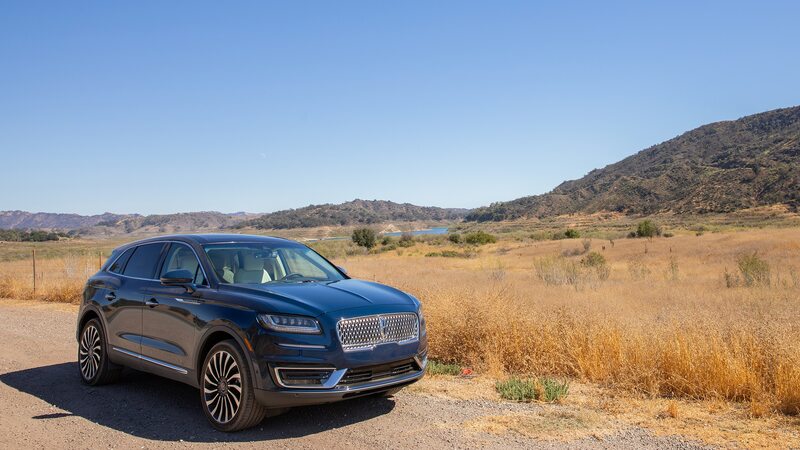 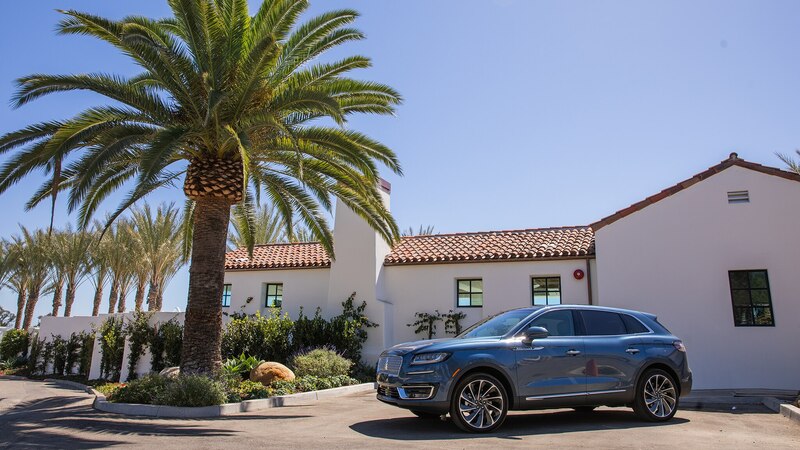 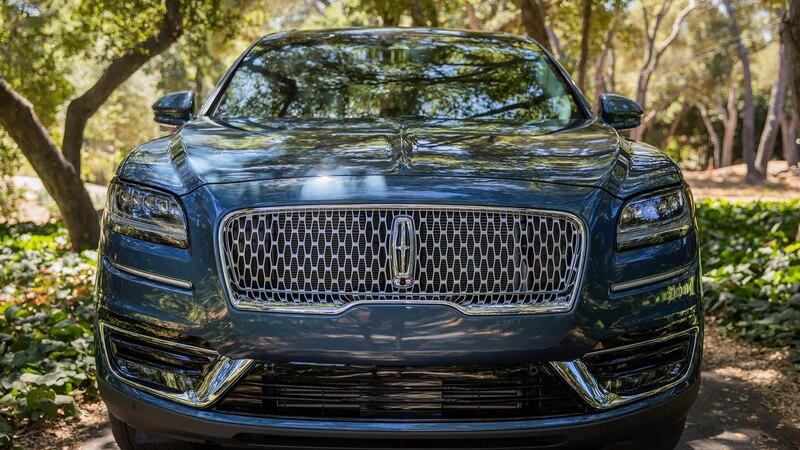 SANTA BARBARA, California — After years of futile experimentation with its design past, Lincoln has finally found the right proboscis for its cars and sport/utility vehicles. 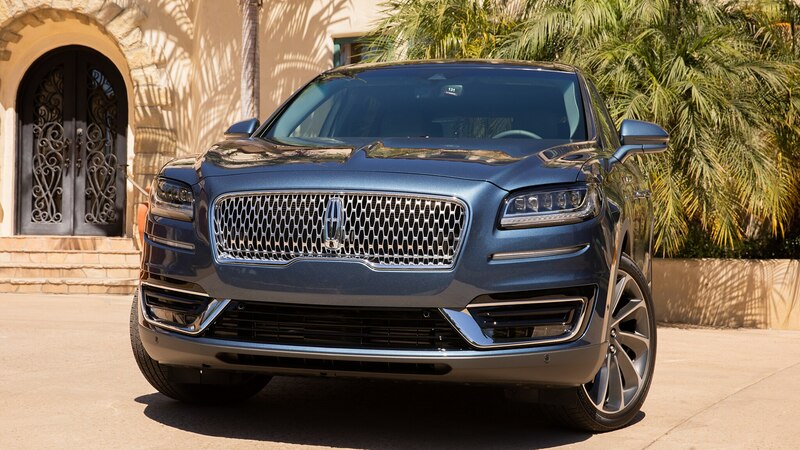 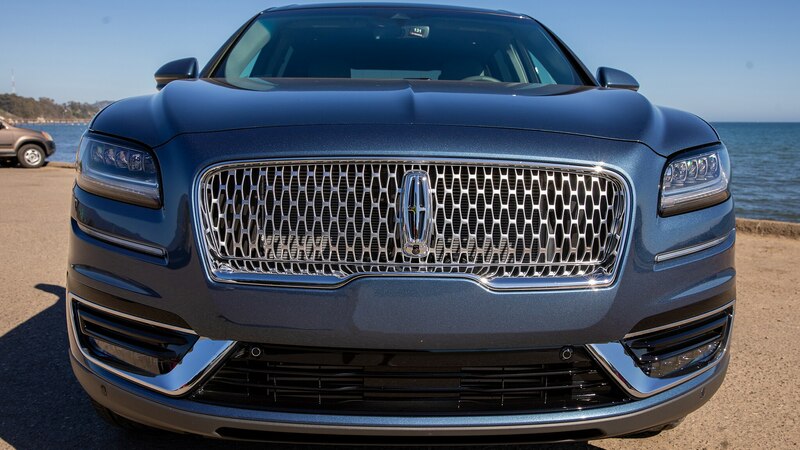 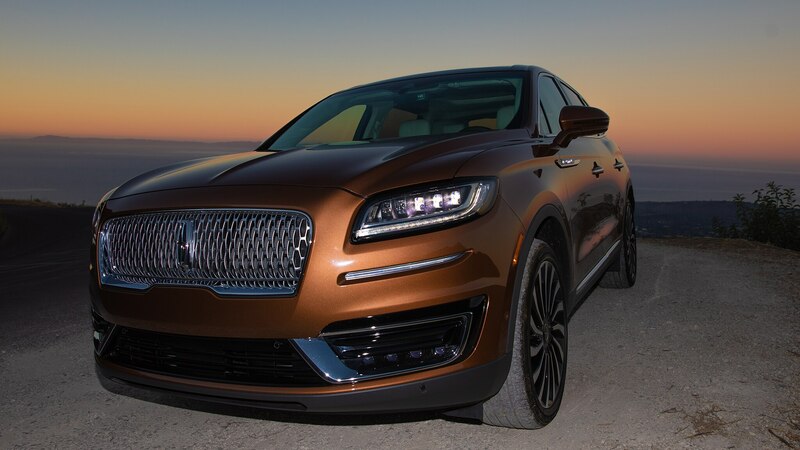 The modern Lincoln front end premiered on the Continental sedan, but the design was first unveiled at a consumer clinic where potential customers were shown several new proposals for a facelift of the mid-size MKX sport/utility. 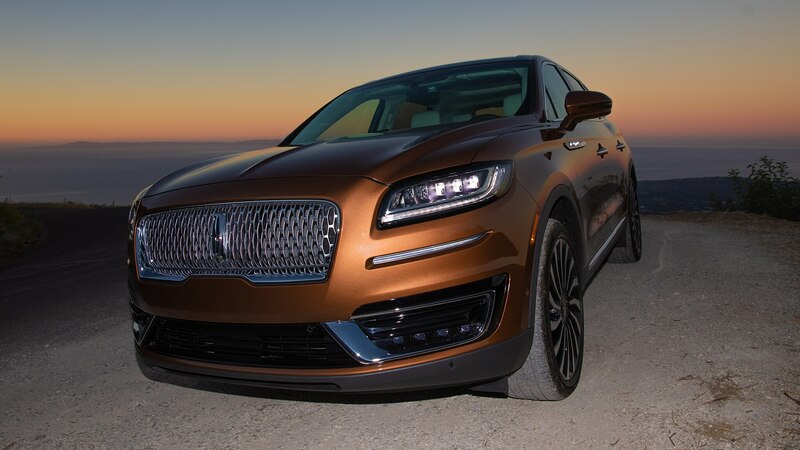 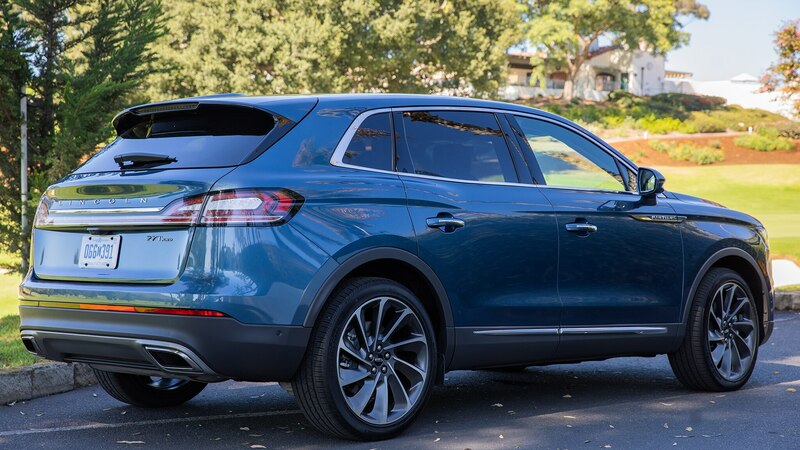 Consumers liked it, this new nose, and so now the MKX finally gets it along with a real name. 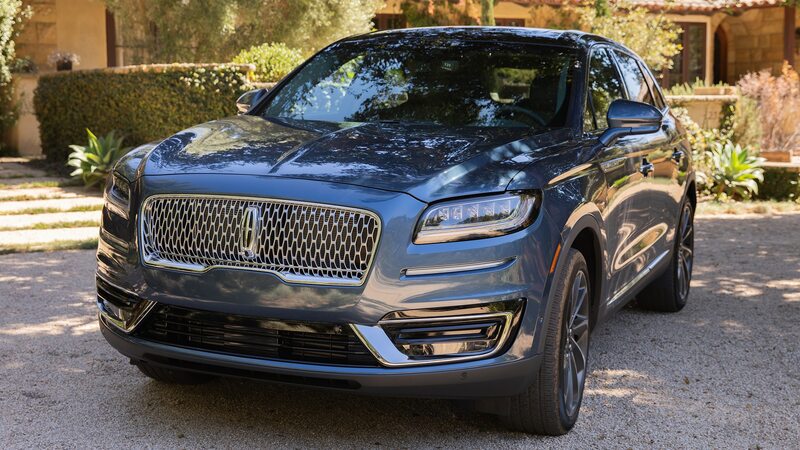 It’s the 2019 Lincoln Nautilus. 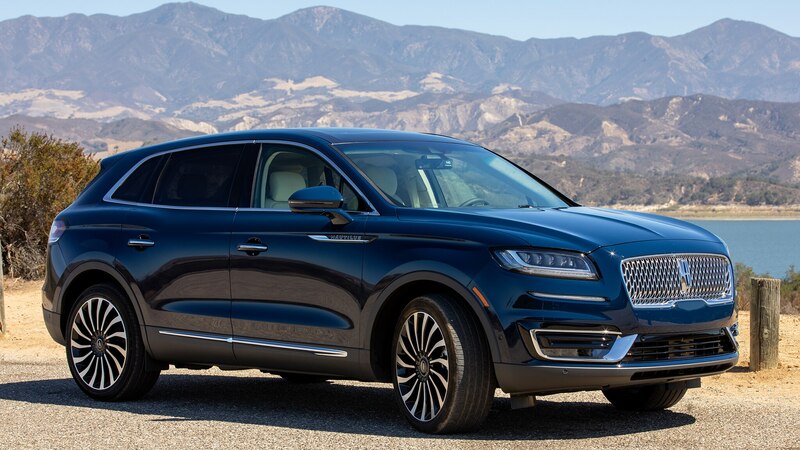 Although it comes with two new engines both combined with an eight-speed automatic transmission, a retuned chassis, and an upgraded interior featuring a comfortable 22-way power seat option, the Nautilus carries forth the MKX’s CD4 (Ford Edge) platform and its sheetmetal from the A-pillar back. 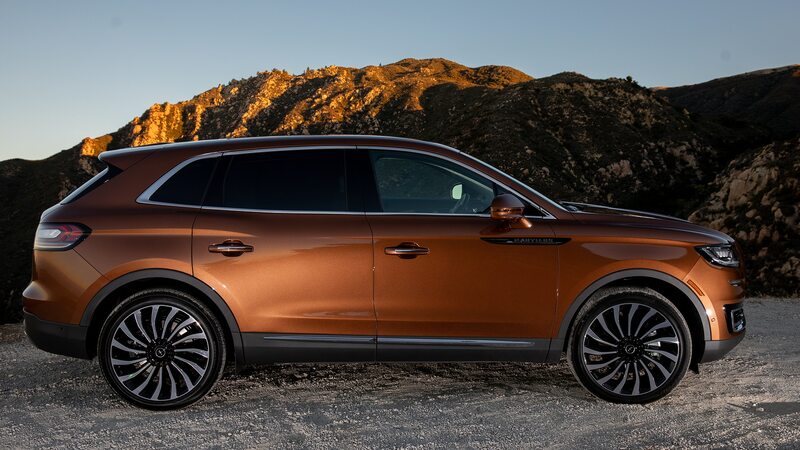 The new sheetmetal forward of the A-pillar makes for much more cohesive styling, next to the MKX. 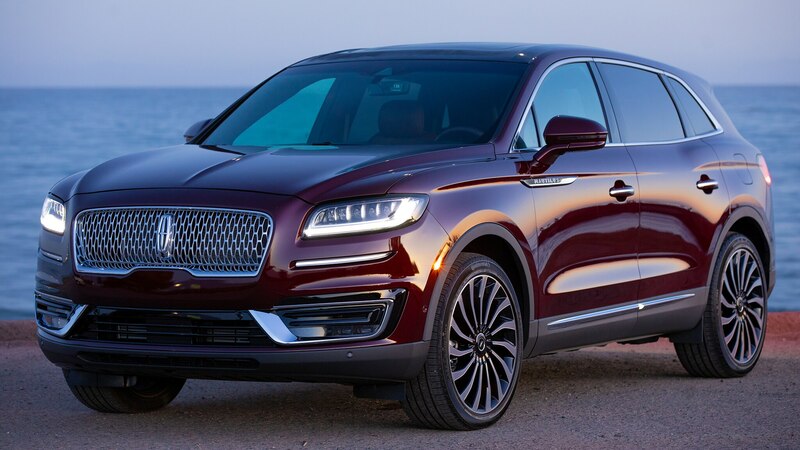 The new nose is just a few millimeters longer than the old one, thanks to ditching the canted-back 1941 Continental-style split-wing grille, though its upright rectangular replacement makes the Nautilus look much longer than the MKX, and more distinct from the somewhat dowdy Ford Edge, which also benefits from a mid-cycle update for model year ‘19. 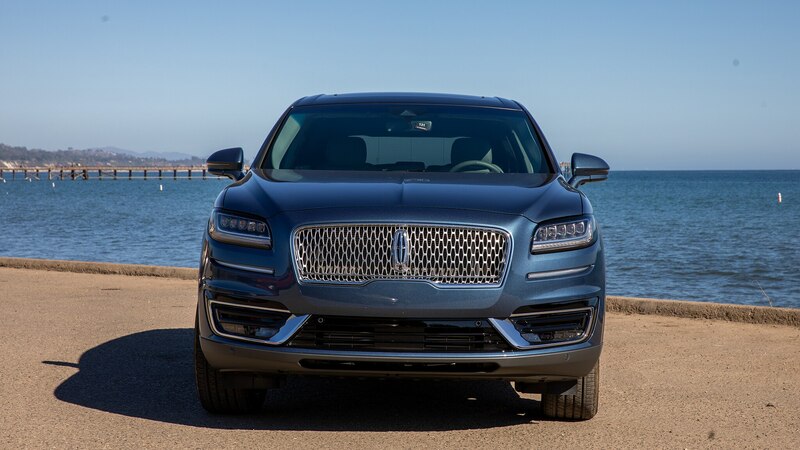 Enhancement of Ford-Lincoln delineation is important, because the Edge Titanium, with a base price of $39,545 and the EcoBoost V-6 ST, at $43,350, encroach on lower-trim Nautilus territory. 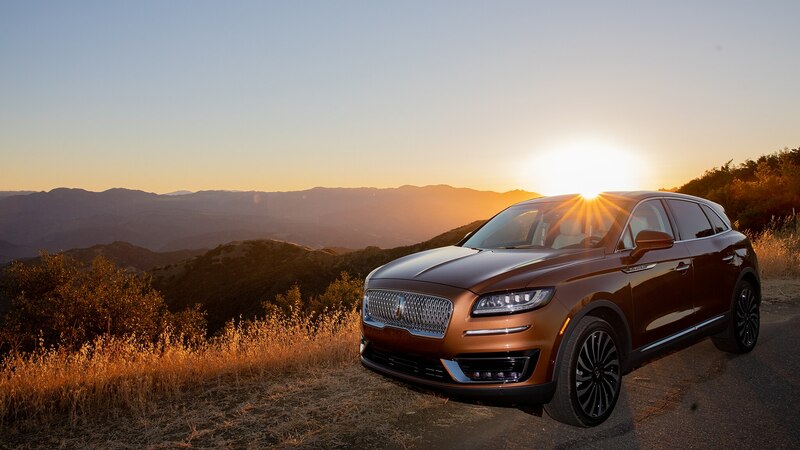 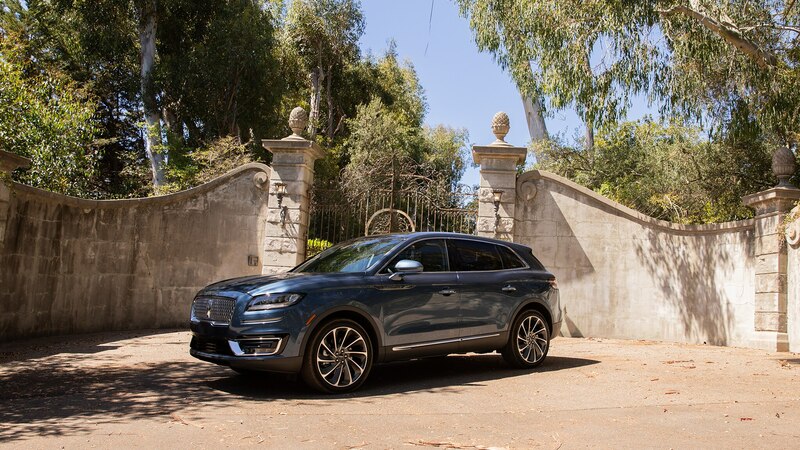 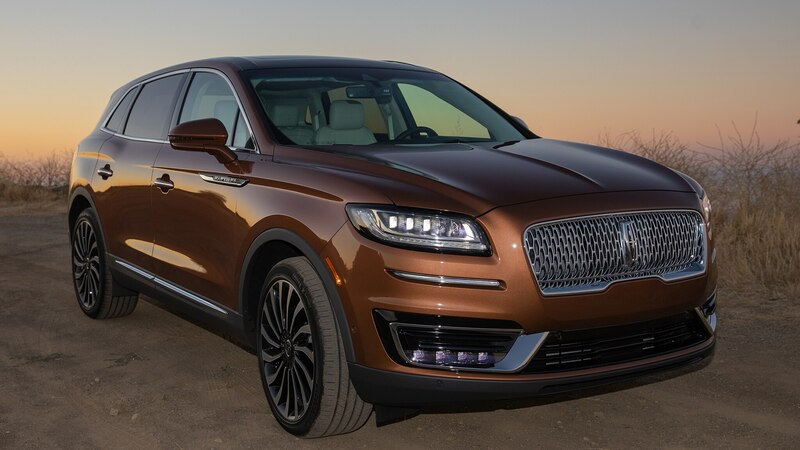 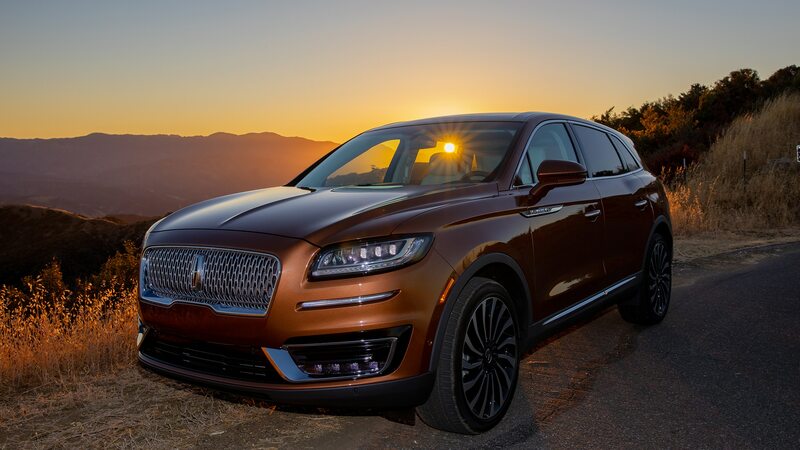 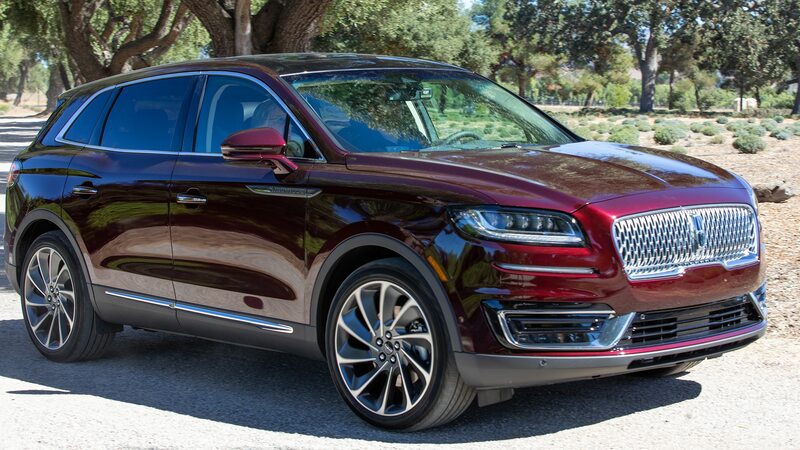 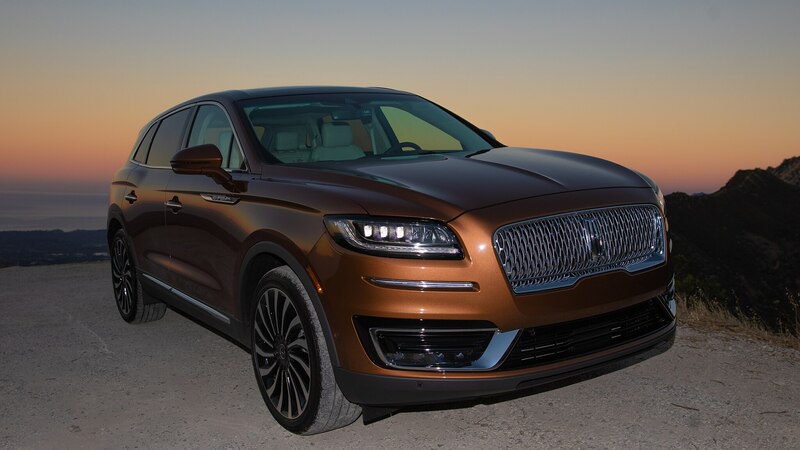 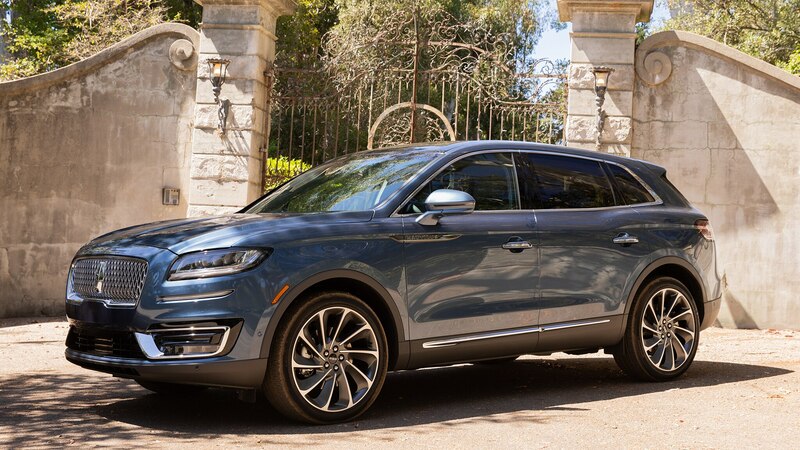 Your humble servant also reported on the first drive of the ’14 MKX, also in Santa Barbara, and found that Lincoln’s chassis tweaks of the Edge’s chassis did wonders to make it a credible premium highway cruiser. 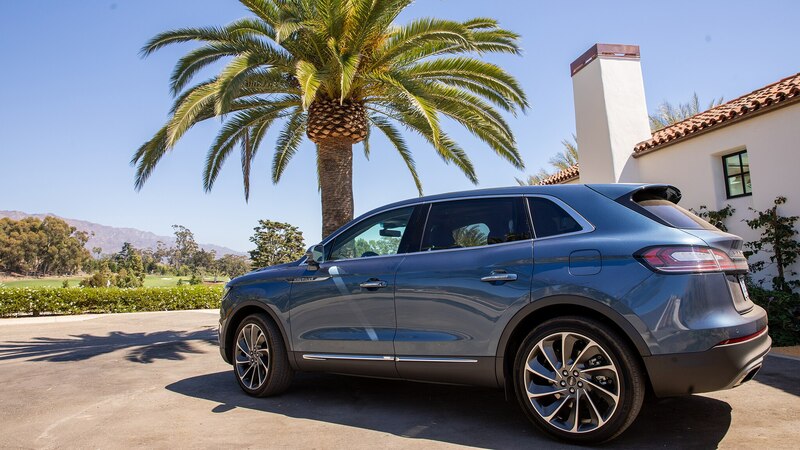 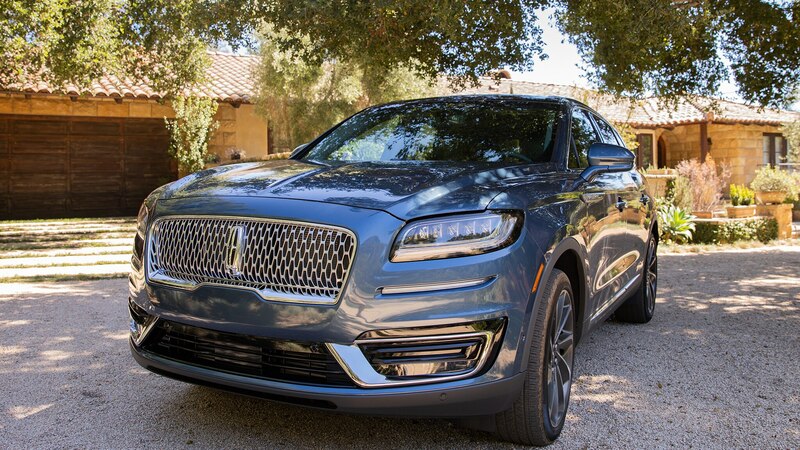 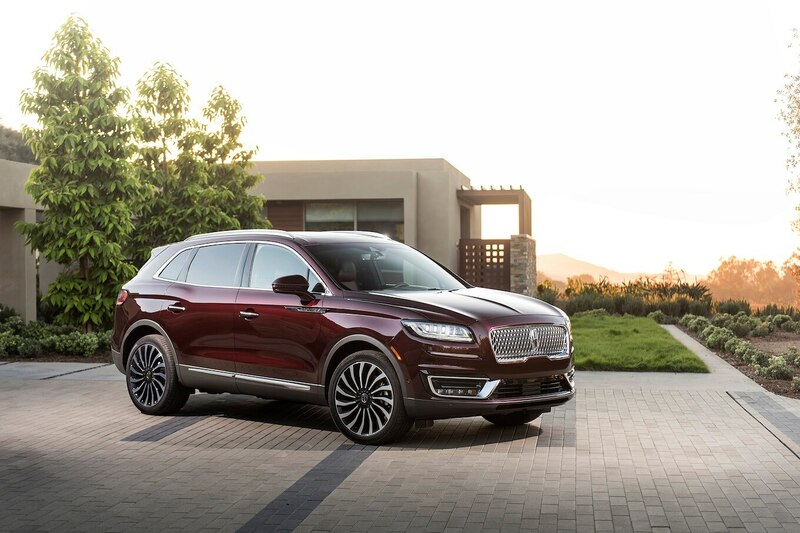 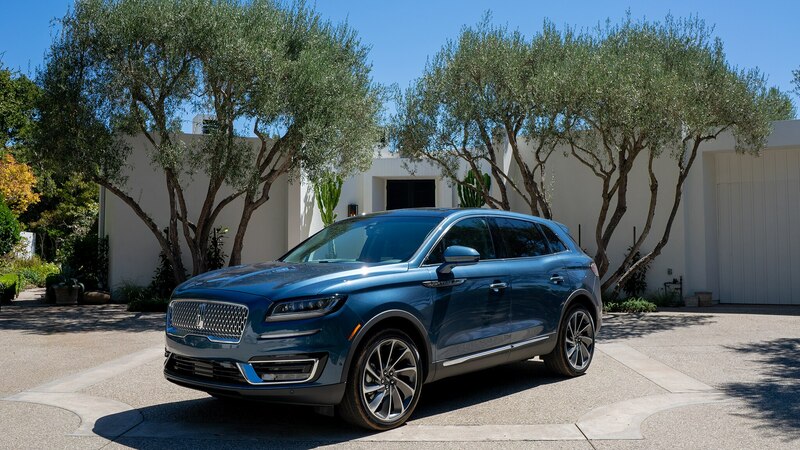 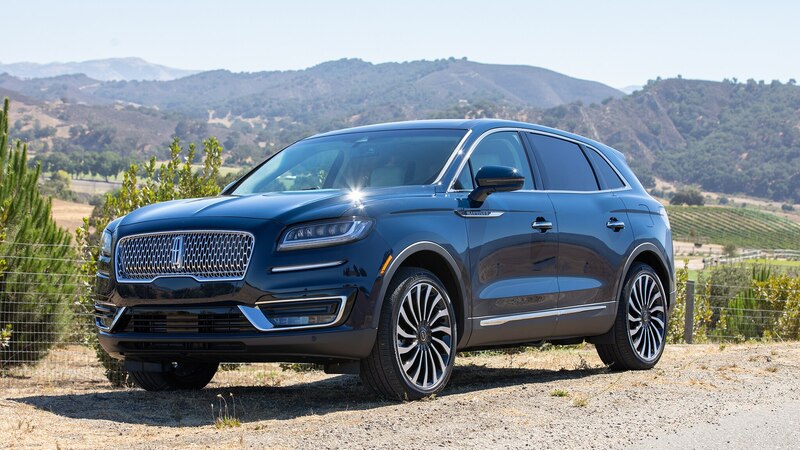 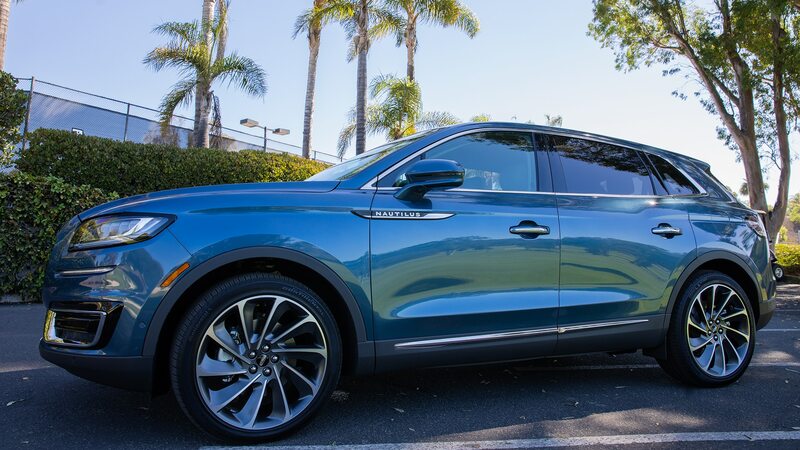 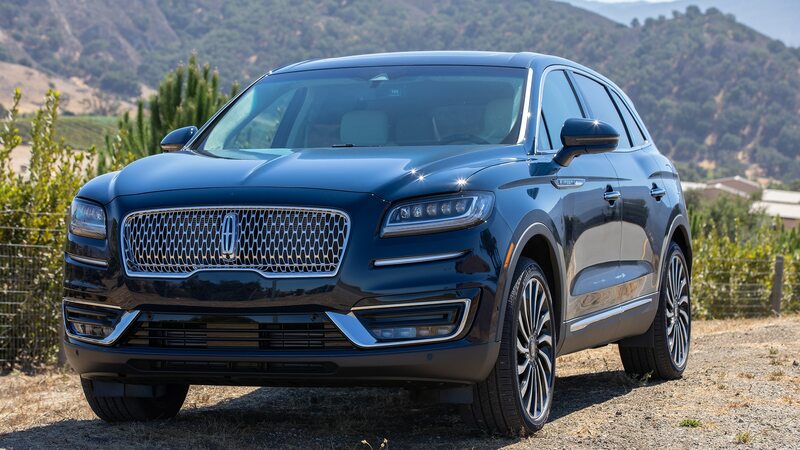 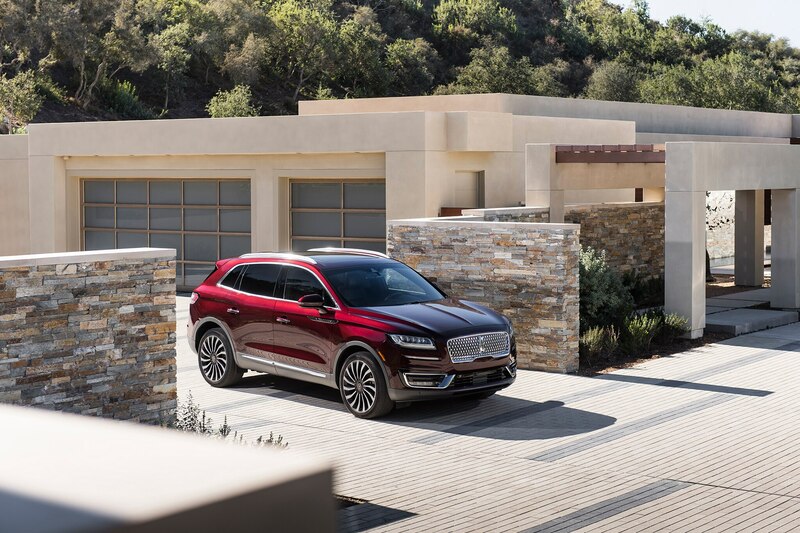 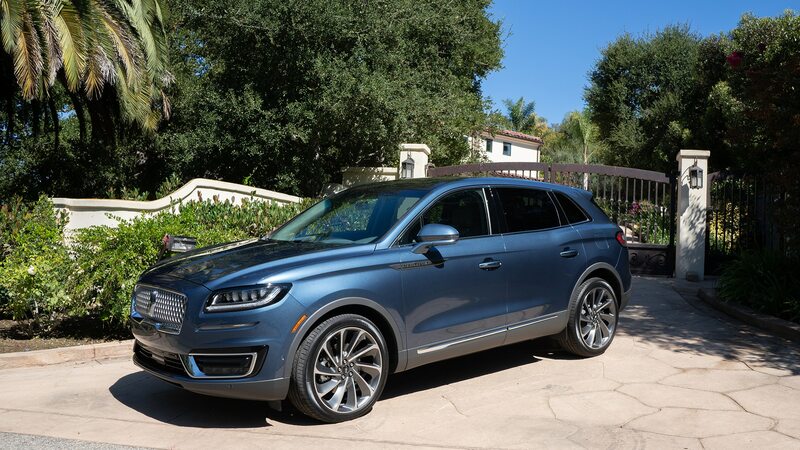 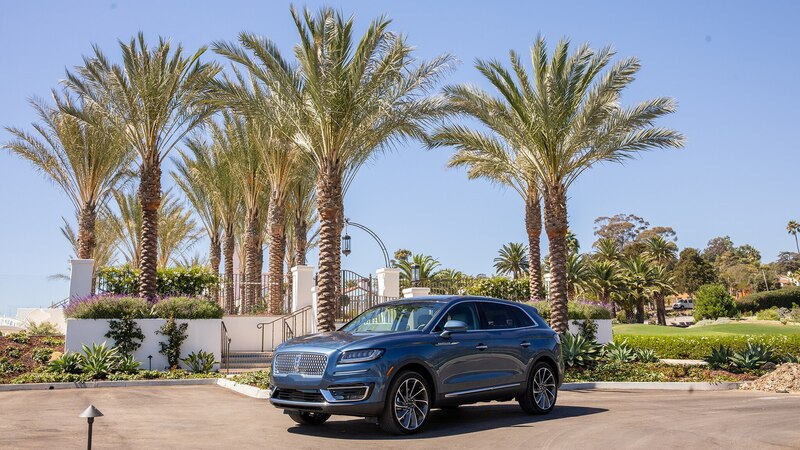 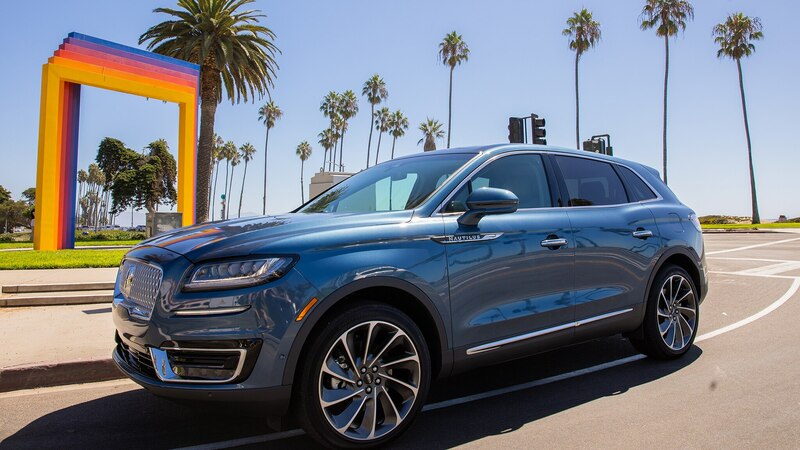 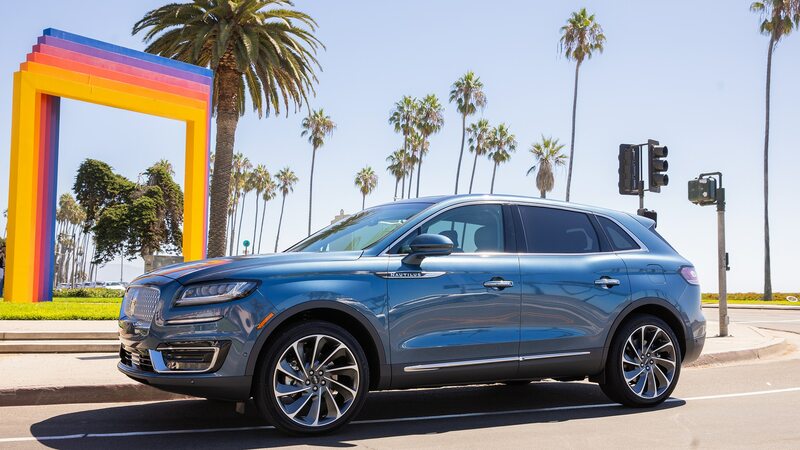 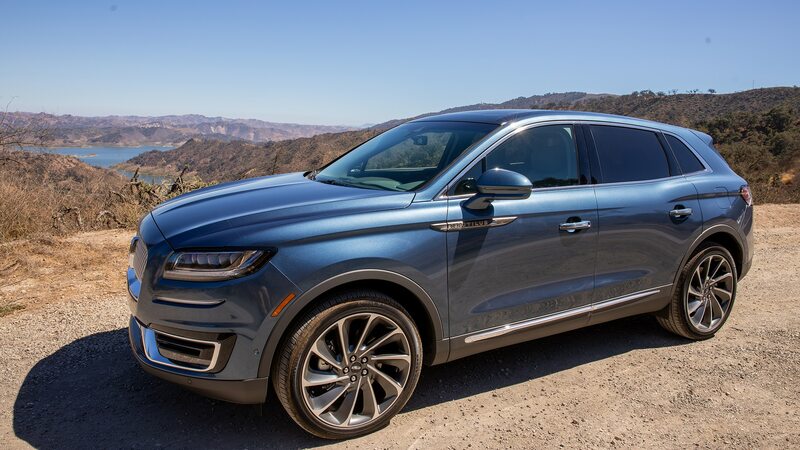 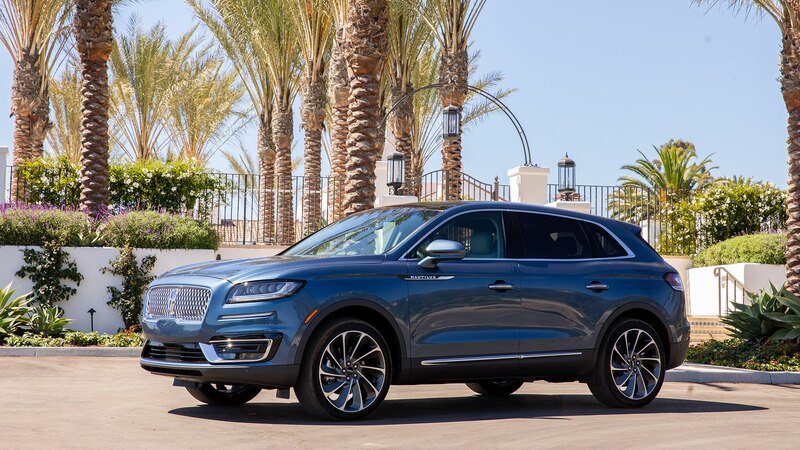 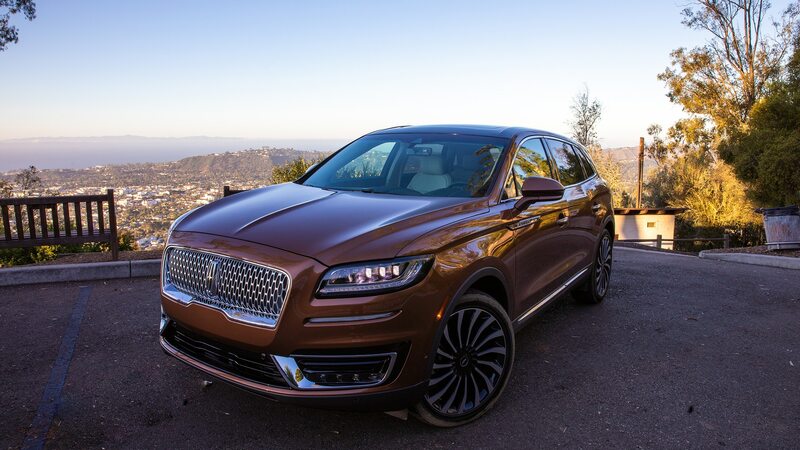 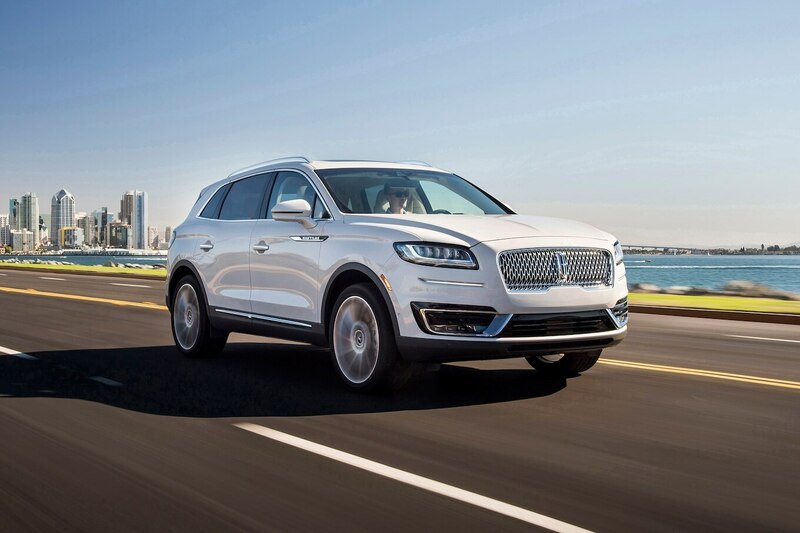 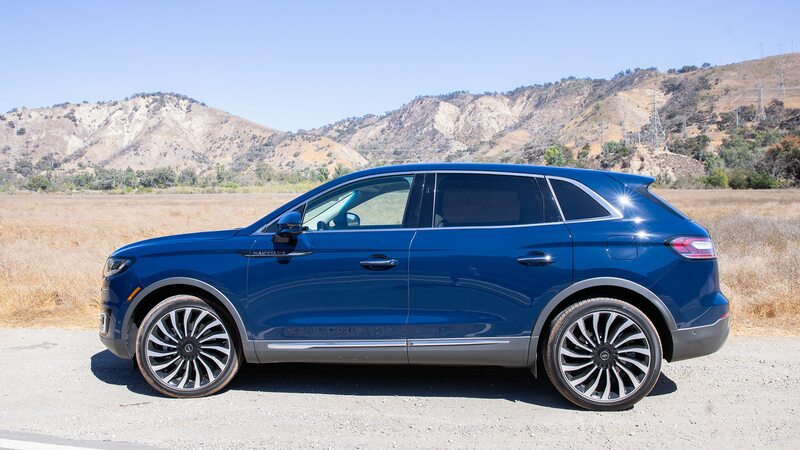 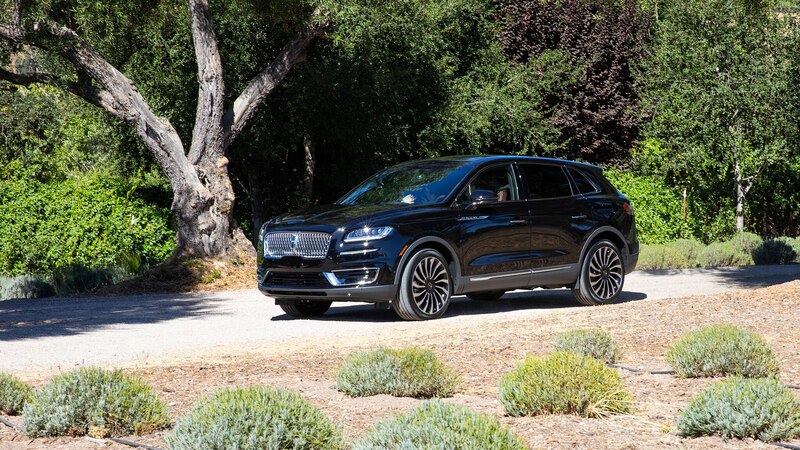 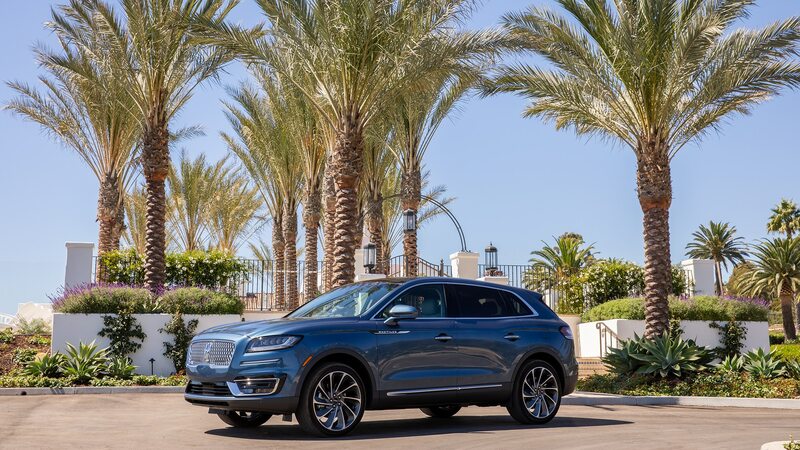 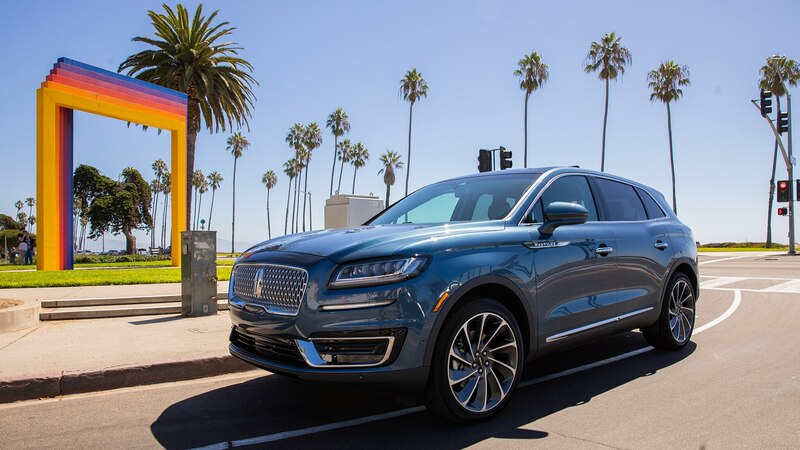 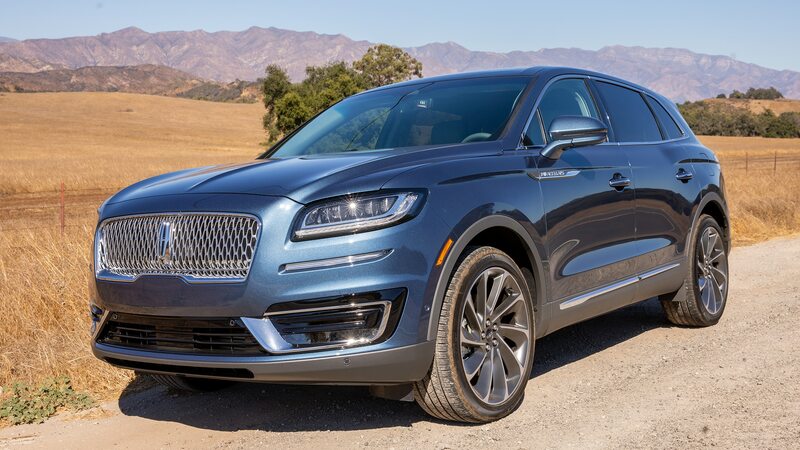 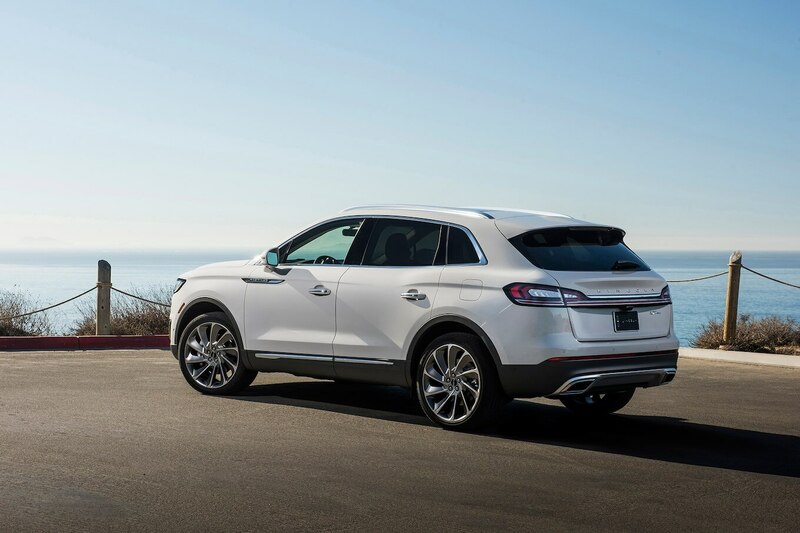 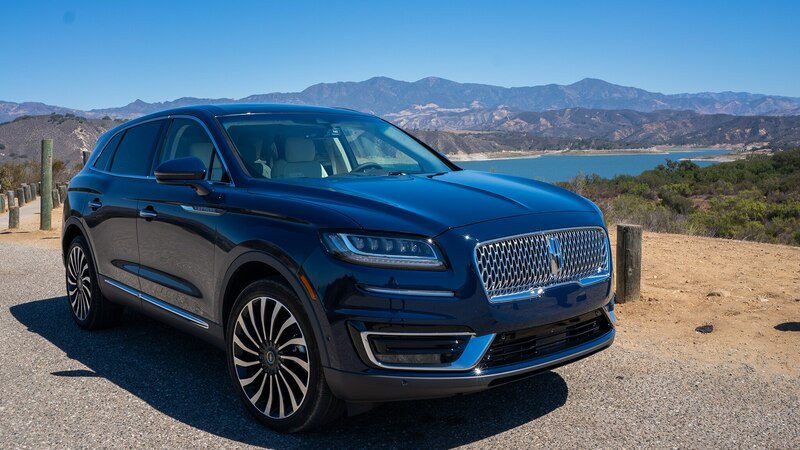 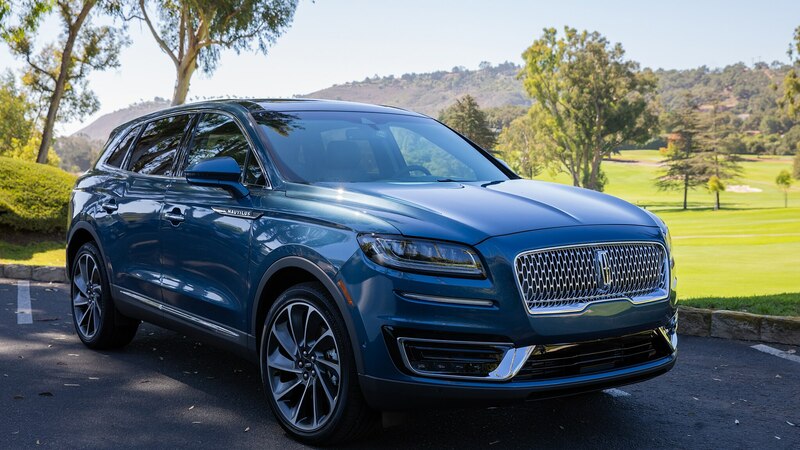 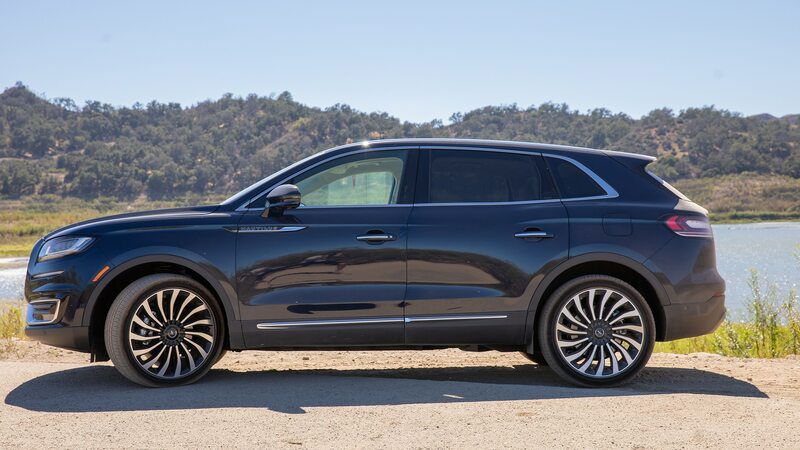 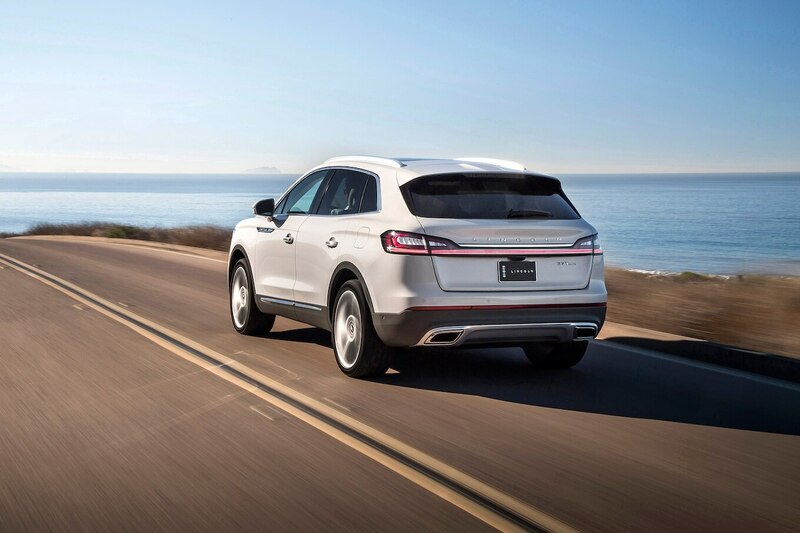 Lincoln engineers retuned the ’19 SUV’s front and rear suspensions, with larger rear bushings, softer tuning and new, cushier Continental tires on wheels of up to 21 inches. 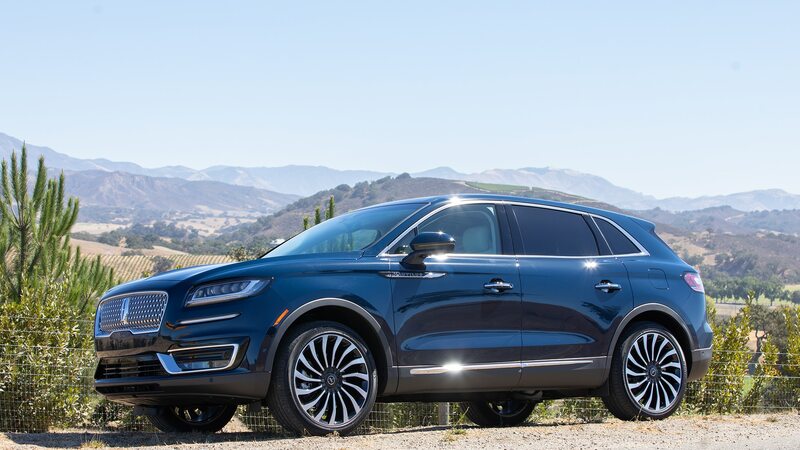 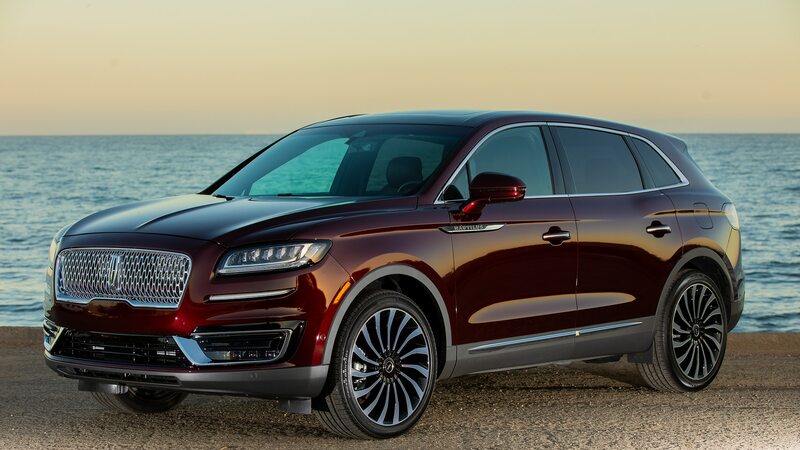 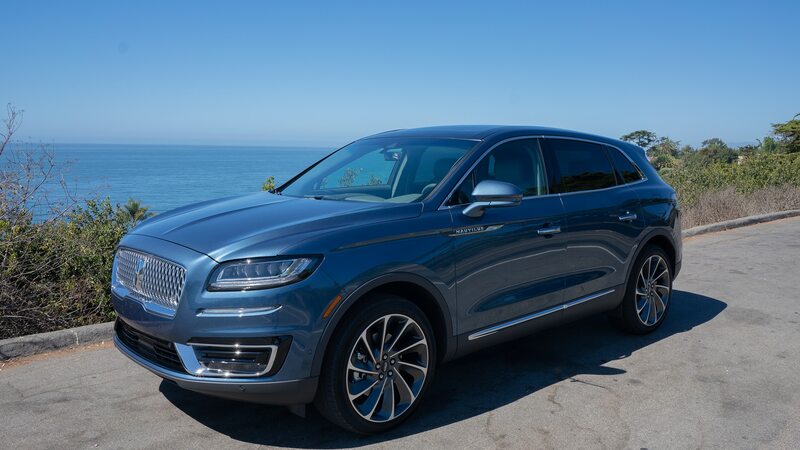 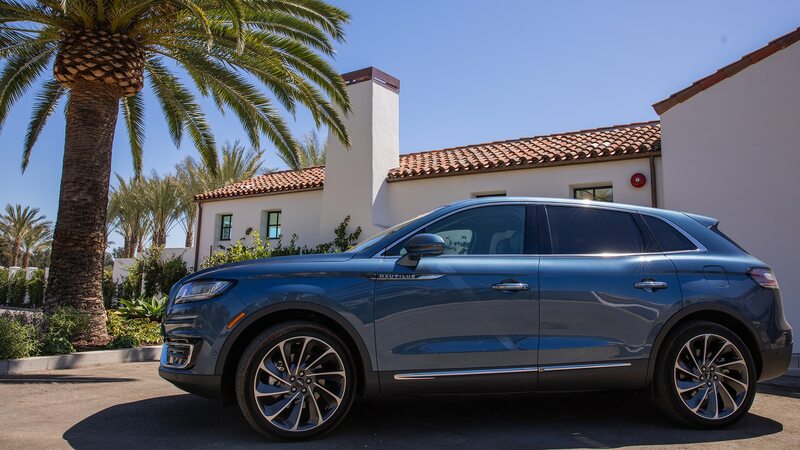 The ’19 Lincoln Nautilus is rather nautical in its highway dynamics, but that’s a good thing. 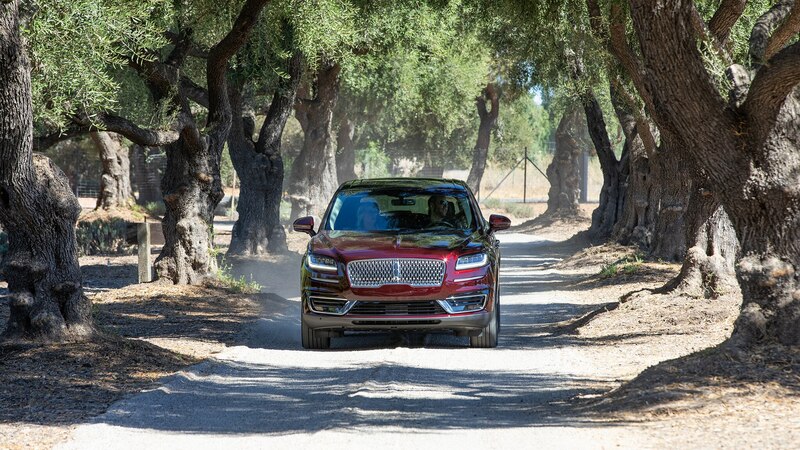 “Nautical” in this case does not mean it wallows while canyon carving. 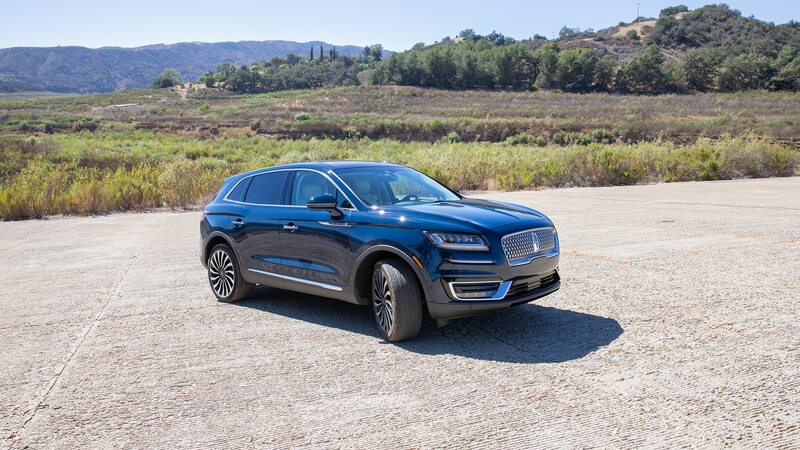 It’s a soft and well-controlled ride, which is what the segment needs. 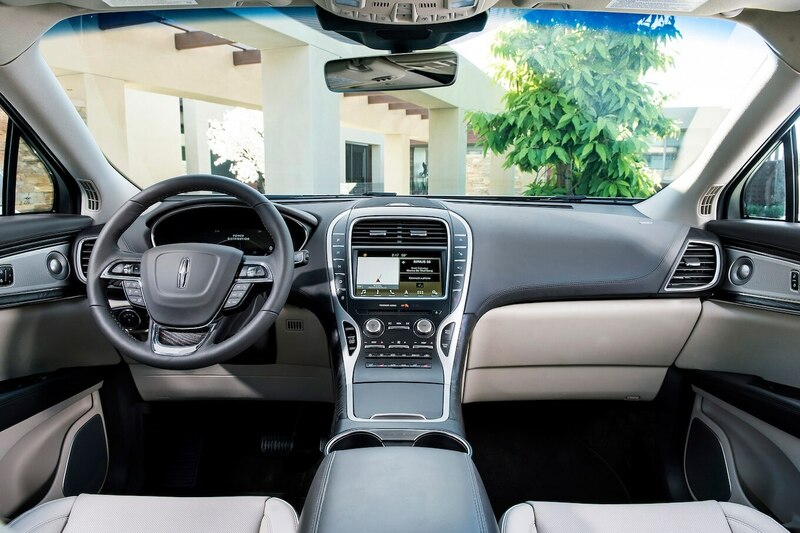 Nevertheless, the Nautilus comes with dynamic chassis control; “normal,” “comfort” and “sport” when the eight-speed automatic is placed in Drive, and “normal” and “sport” when shifted into Sport. 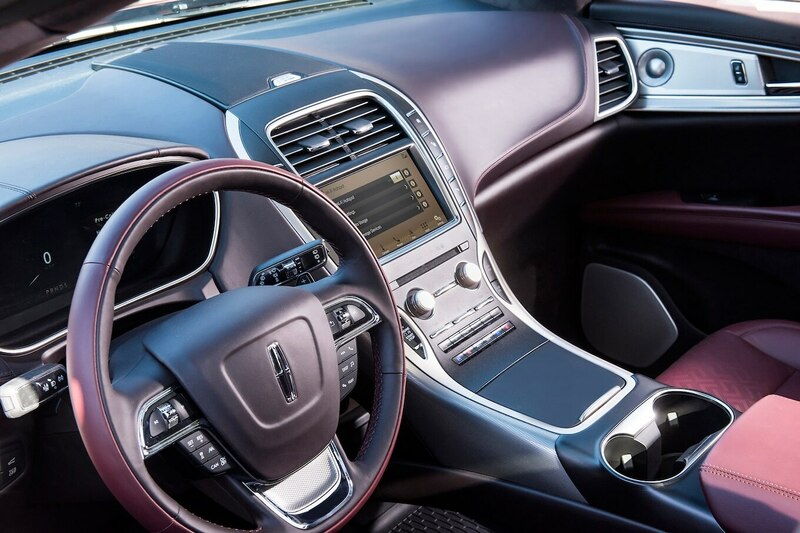 The S-mode holds gears longer, for more aggressive acceleration, and it locks out eighth gear and the stop/start system. 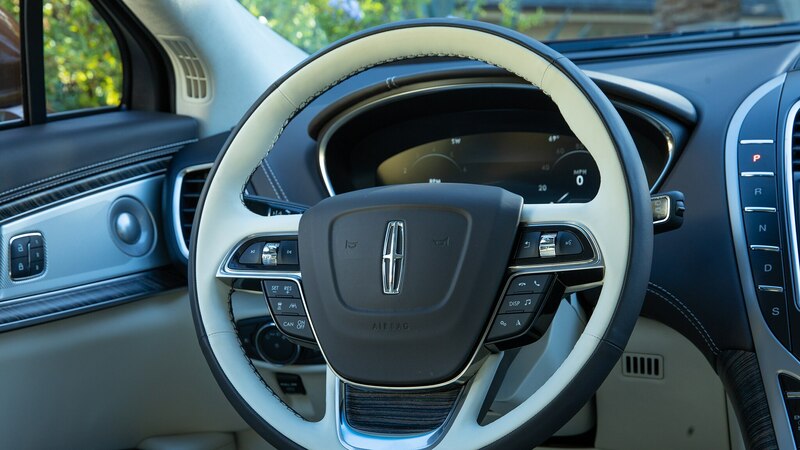 Switching between these various modes requires digging through digital pages on the instrument panel menu, so probably only Lincoln engineers and auto journalists will use them. 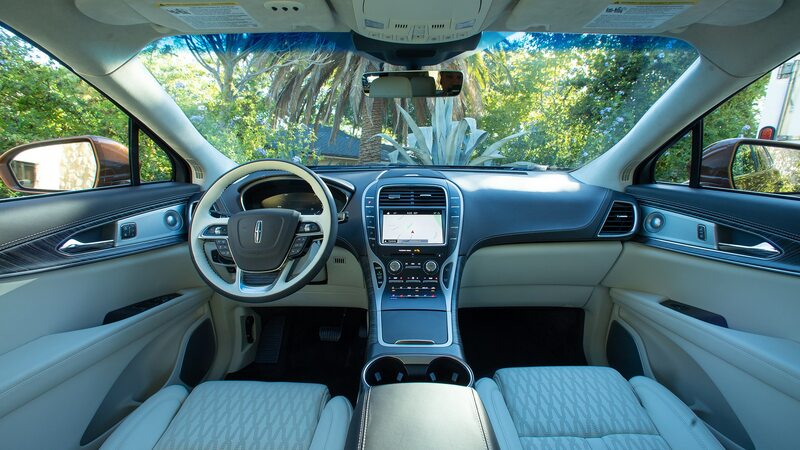 The front seats are fabulous, especially the Black Label trim my drive partner and I first sampled. 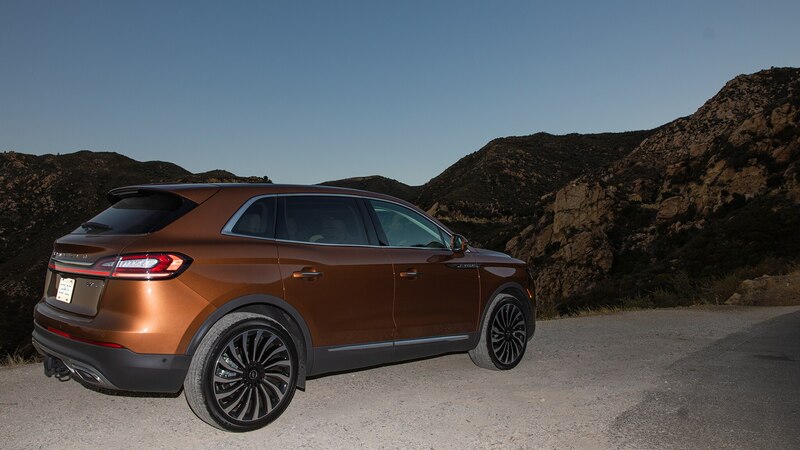 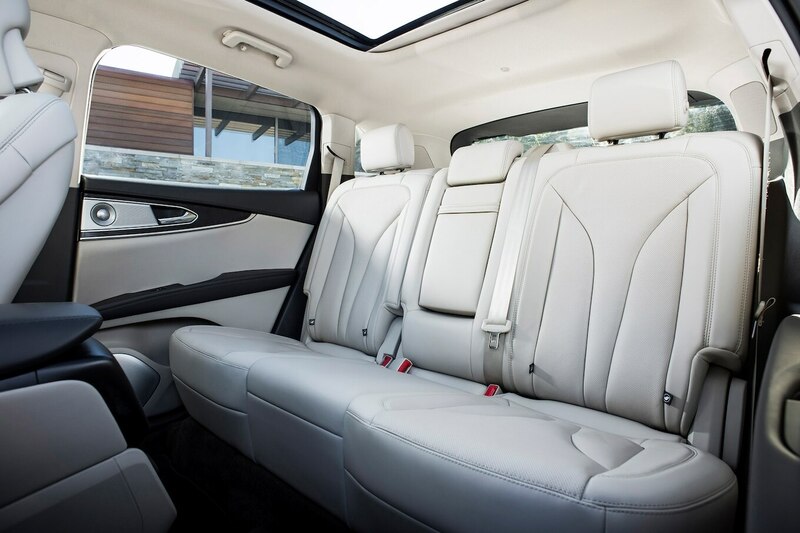 (Our Black Label color and trim combo was “Gala”—the others are “Thoroughbred,” and “Chalet.”) The optional Ultra Comfort 22-way power seats, with lumbar control and a massage feature are far more comfortable, and more premium in look and feel than anything from Cadillac. 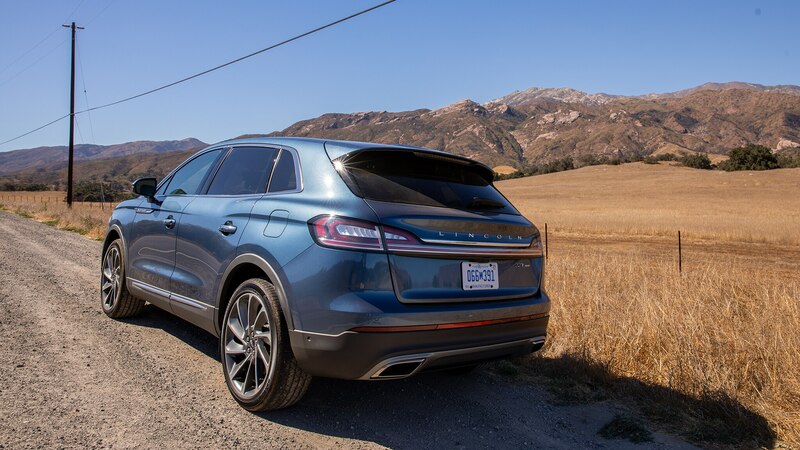 On the driver’s side, the SUV sits a bit tall for my taste, probably to assure sufficient forward view over that long, un-sloped hood. 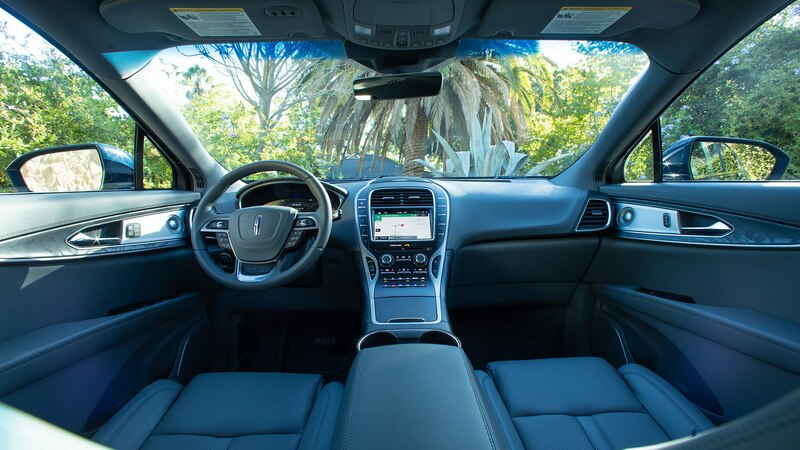 But there’s not a lot of extra headroom with the seat in its lowest position even for a sub-six-foot driver like me. 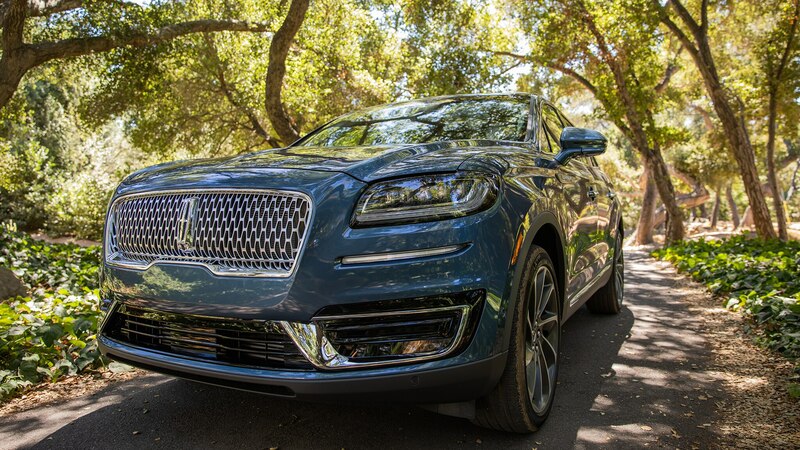 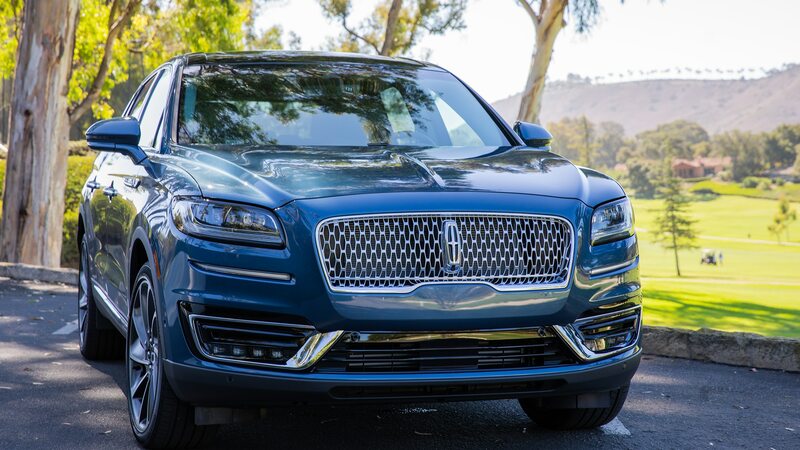 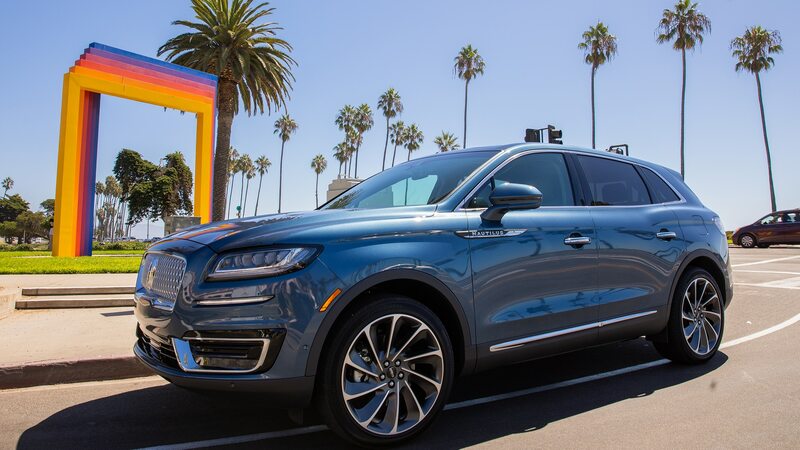 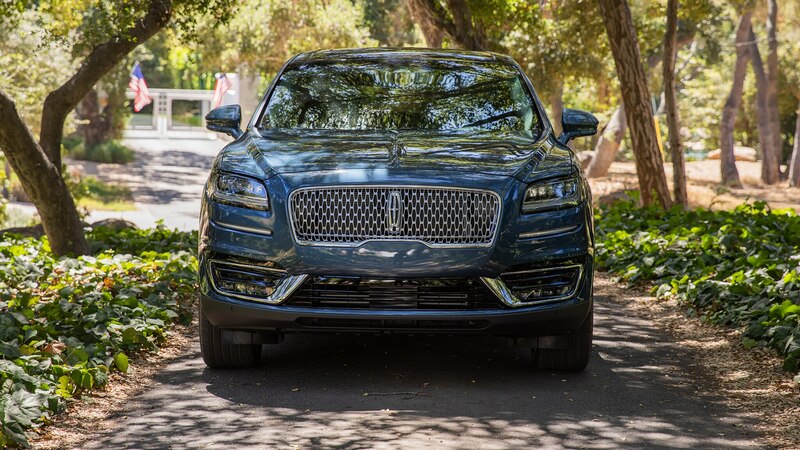 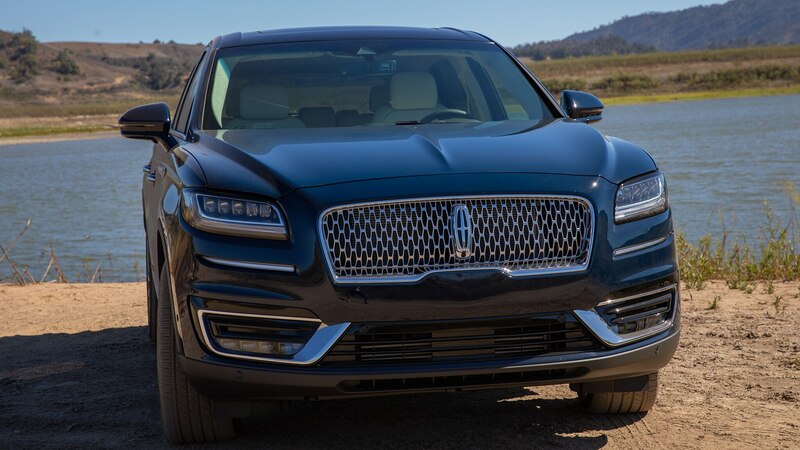 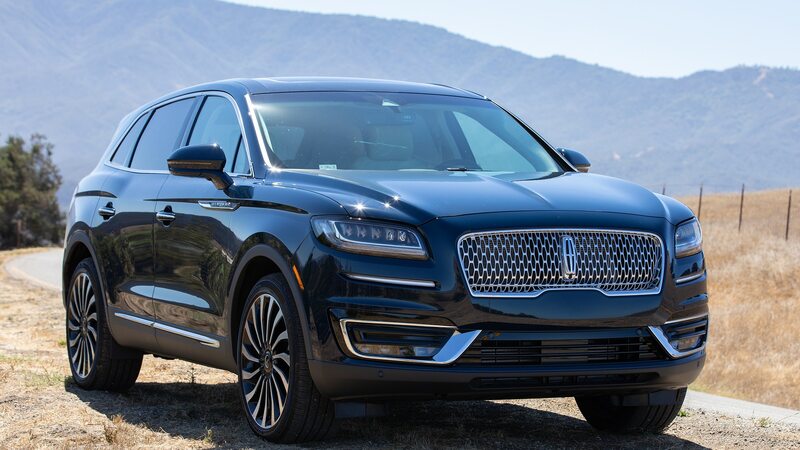 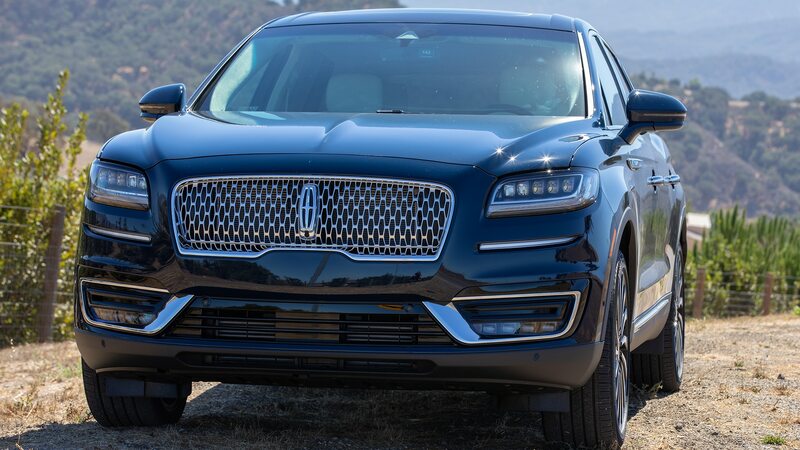 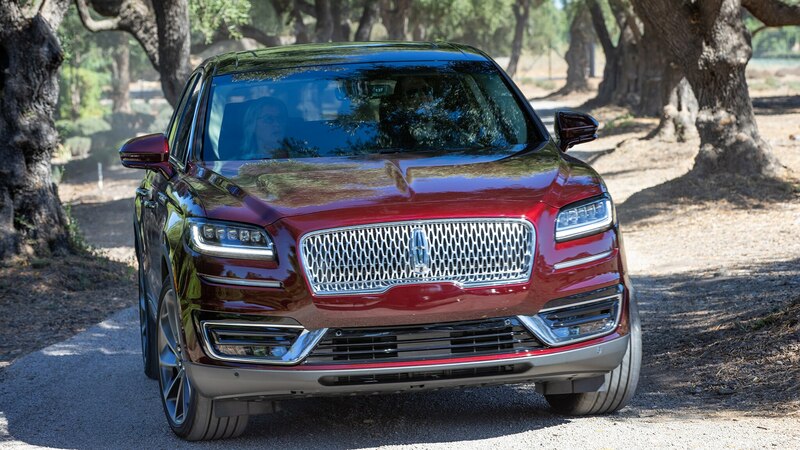 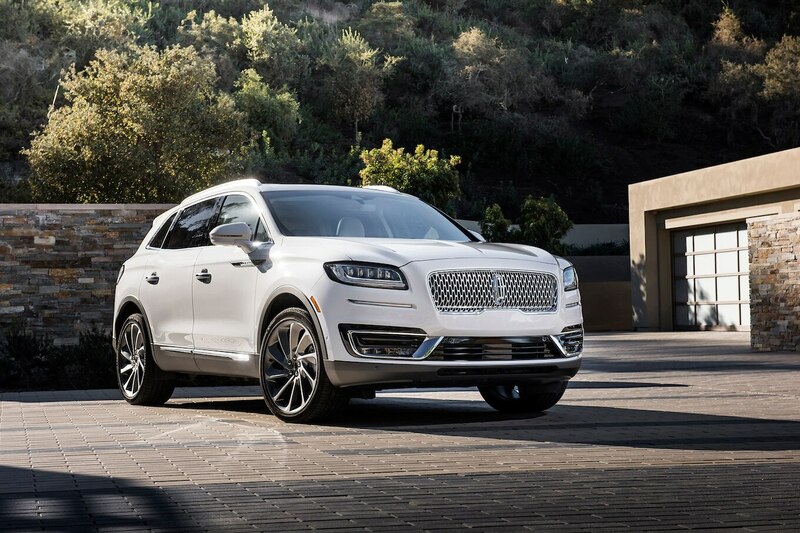 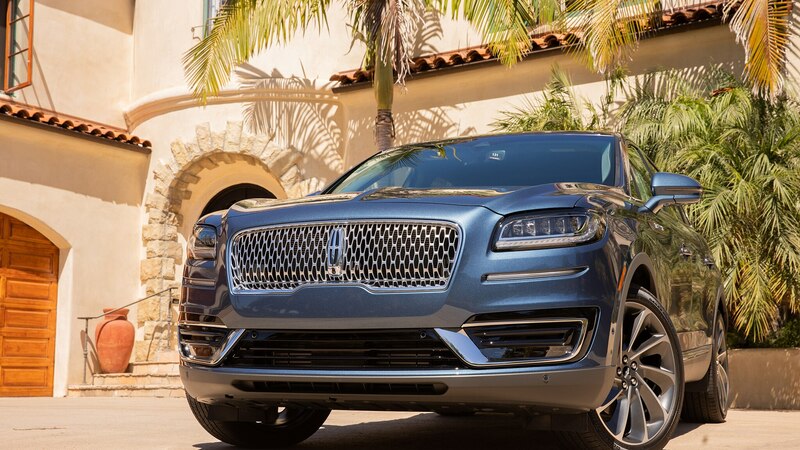 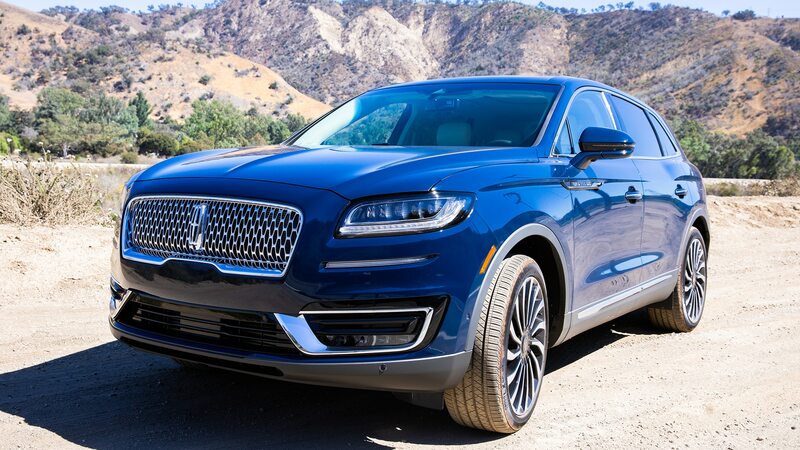 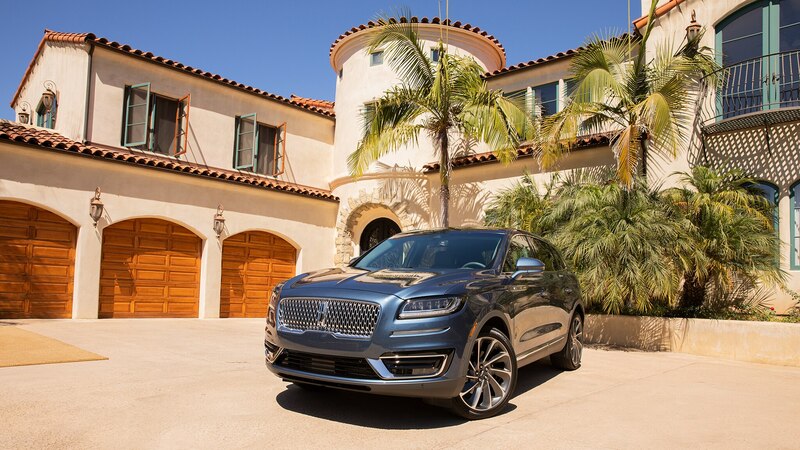 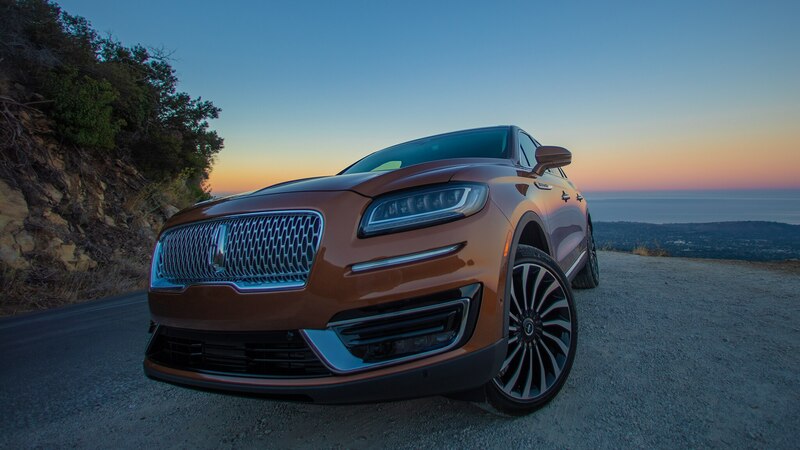 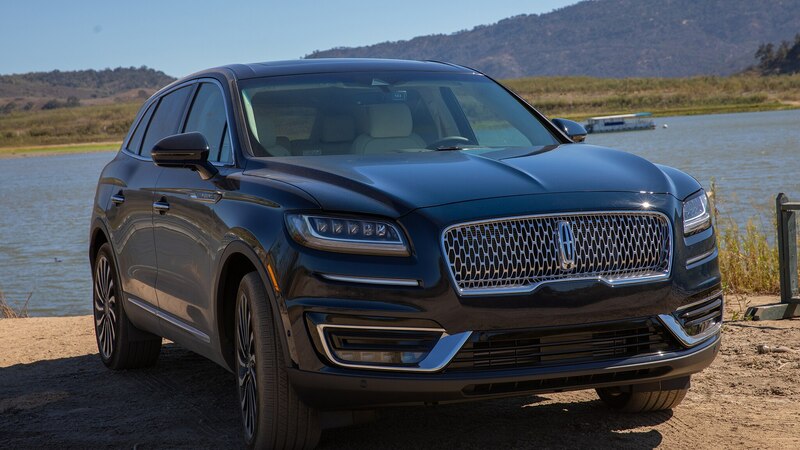 Most of the Nautiluses—Nautili?—in Lincoln’s test fleet here were equipped with the optional 335-hp 2.7-liter twin-turbo EcoBoost V-6, same engine as in the Ford F-150, even though the company forecasts 70 percent of buyers, more or less, will choose the 250-hp 2.0-liter EcoBoost turbo I-4. 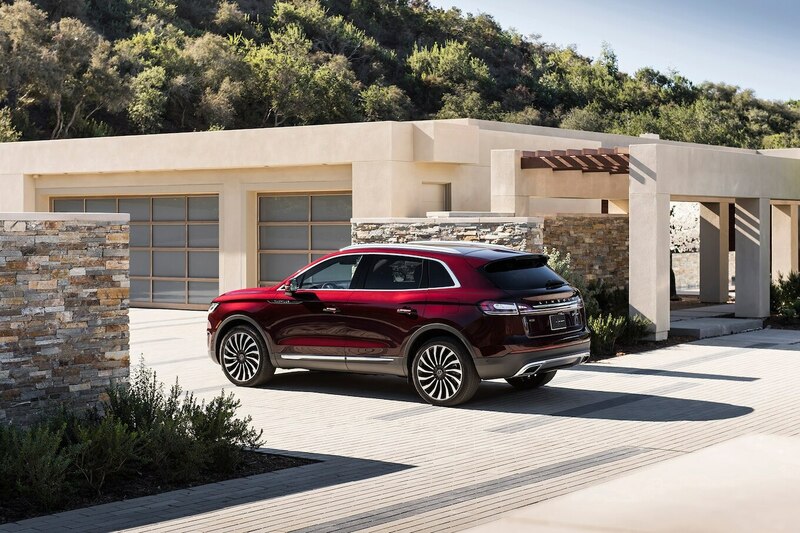 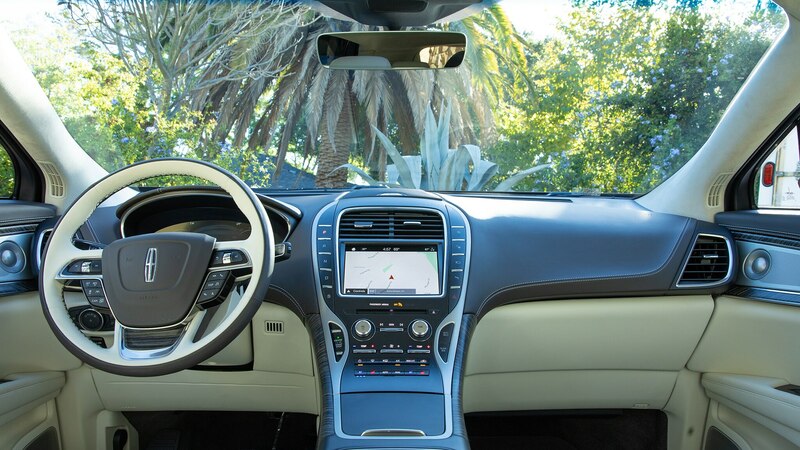 Lincoln offers either engine up and down the Nautilus line, from the base and Select to the Reserve and Black Label. 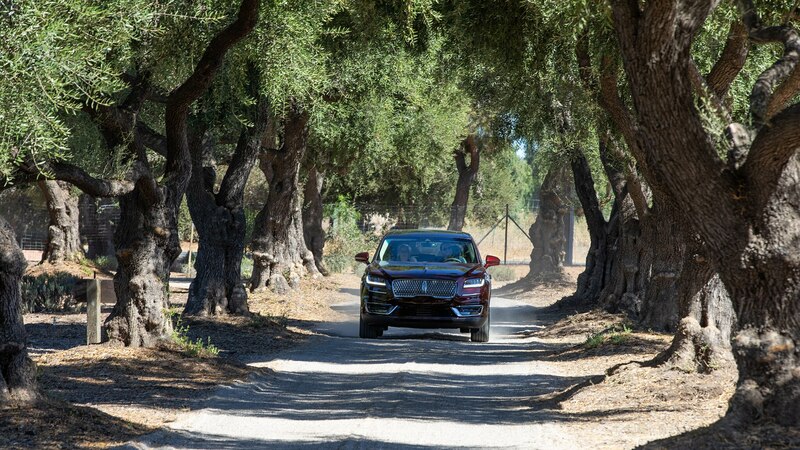 Any trim level, with either engine, is available with front- or all-wheel-drive. 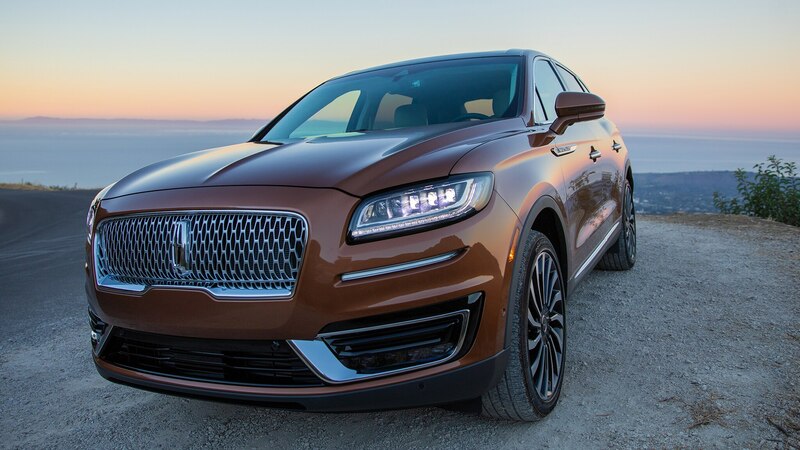 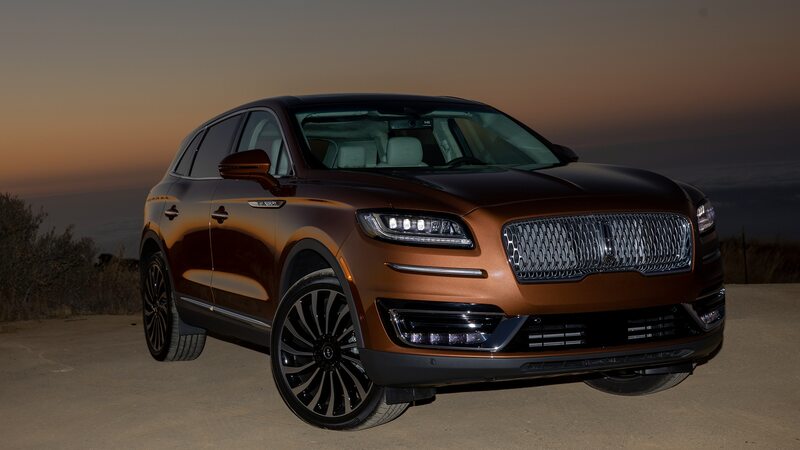 Lincoln says the AWD take rate has been about 55 percent for MKX, and that won’t change much. 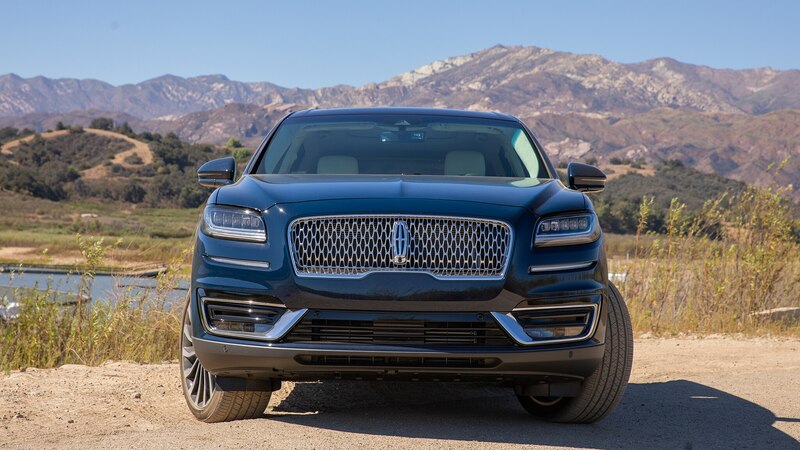 The 2.0 EcoBoost is perfectly adequate for the 4,305-pound SUV (all examples in the fleet had AWD), and probably the better choice for everyday fuel efficiency and road trip range, but the engine sounds thrashy. 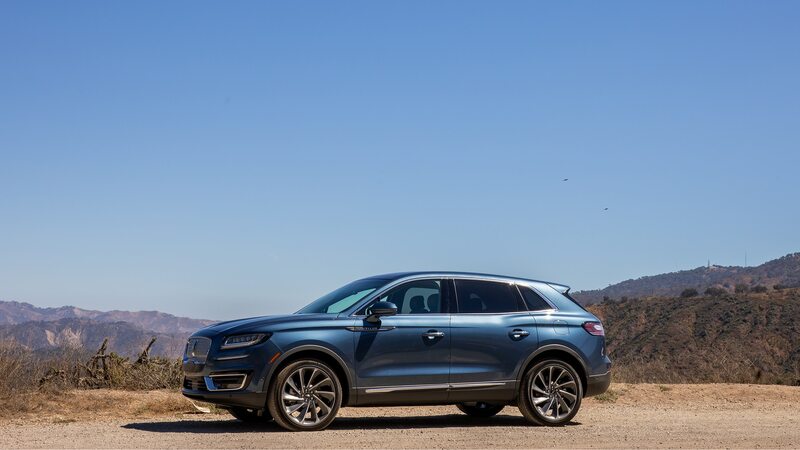 Full-throttle acceleration can get the engine winding out a bit and holding a gear too long after lifting, which makes the eight-speed automatic wind out like a CVT. 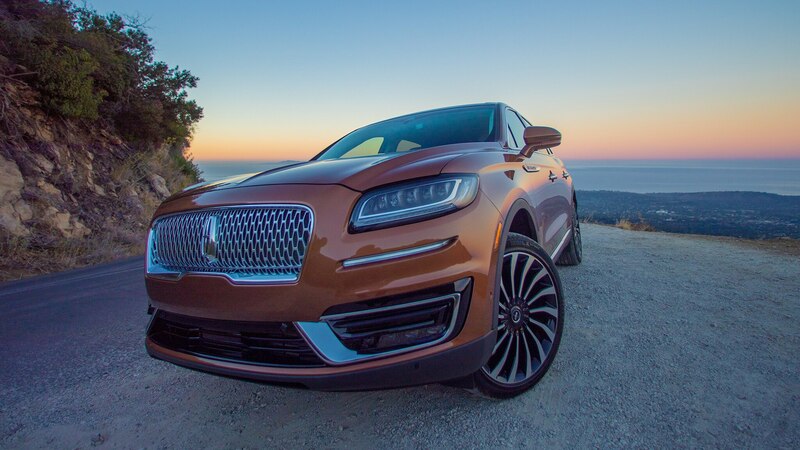 The EcoBoost V-6 better suits the Nautilus’ premium aspirations, with a throatier sound and good power for accelerating up steep hills. 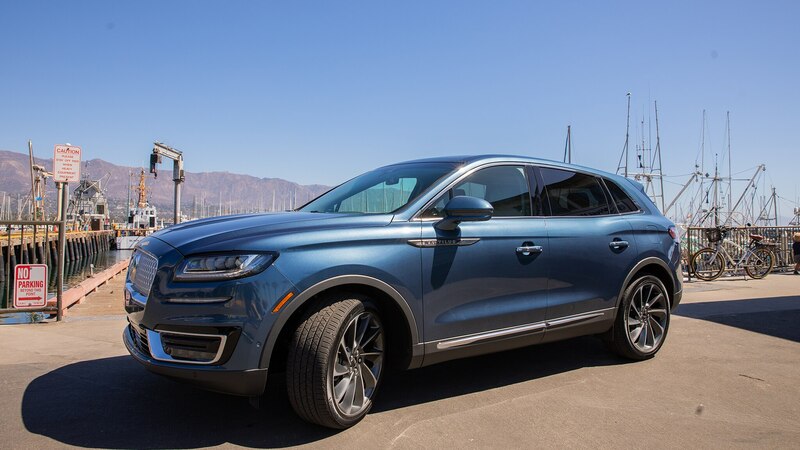 The third who choose this engine will be the same sort of customers who take the time to find the dynamic suspension control settings in the IP menu. 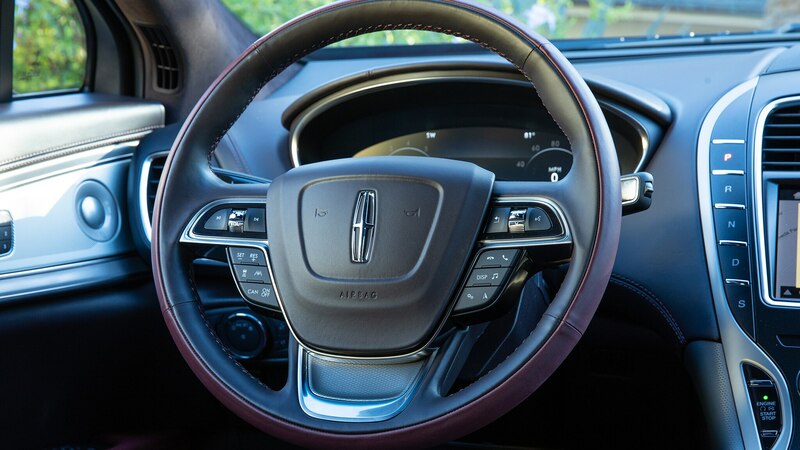 Available driver assist systems include automatic emergency braking with pedestrian detection, blind-spot detection with cross-traffic alert, adaptive cruise control with stop-and-go, lane-centering technology, evasive steering assist, back-up camera, automatic high-beams, and enhanced active park assist. 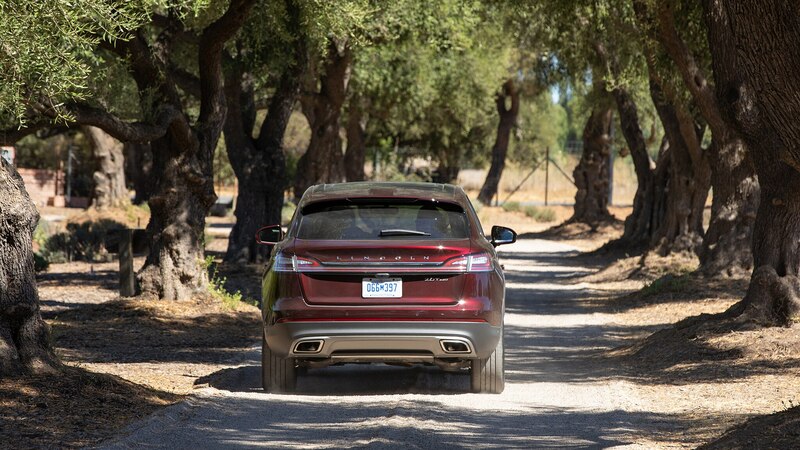 Happy to say we didn’t use much more than the blind-spot and cross-traffic features, and the lane-centering technology, which seems to aggressively turn in around tight canyon corners. 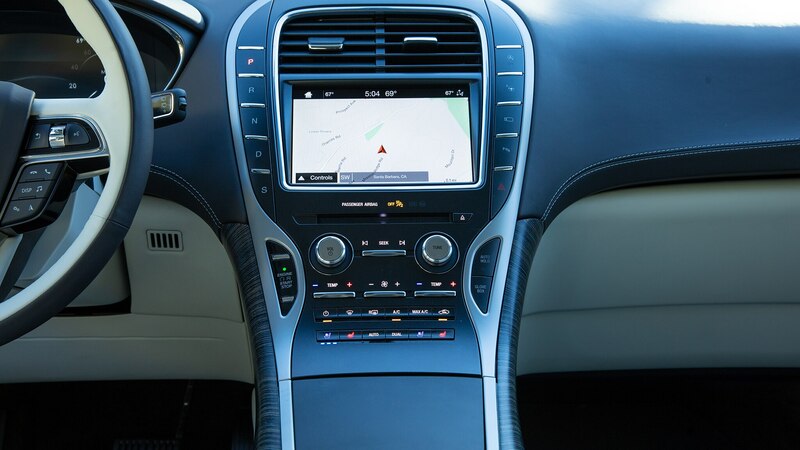 For the most part, this is good, reliable state-of-the-art stuff, though not cutting edge (see Cadillac Super Cruise), that should provide some stress-reduction on long drives. 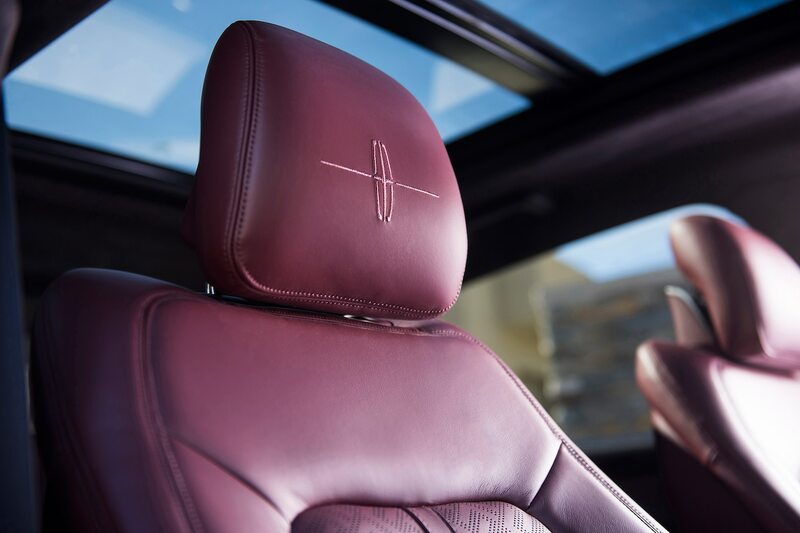 The top-of-the-line Black Label trim advances experiential luxury, and the notion that time saving is the ultimate indulgence. 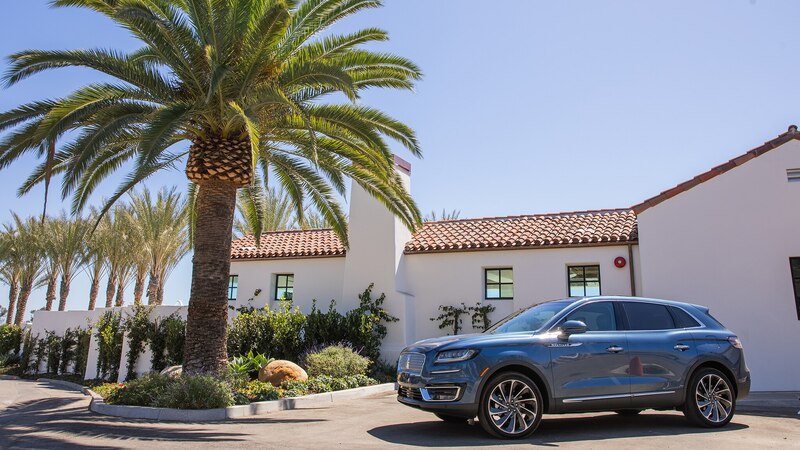 It adds dedicated showroom personnel, extended premium service and maintenance, car washes any time, annual vehicle detailing, Avis President’s Club membership, and the Culinary Collection, with “access to select restaurants” nationwide. 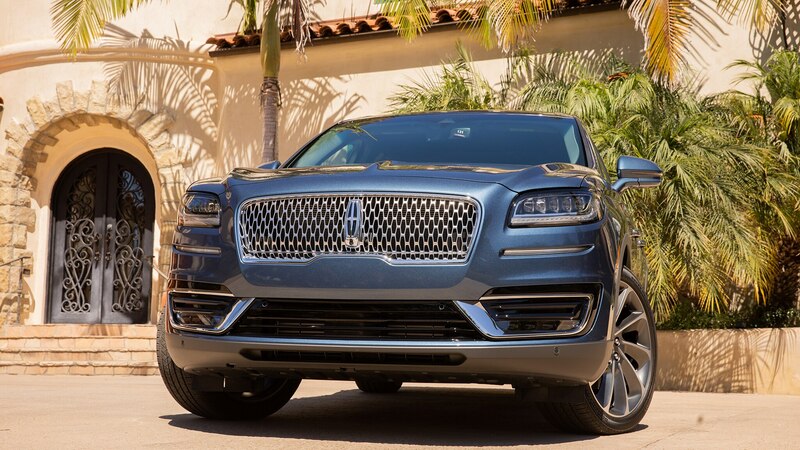 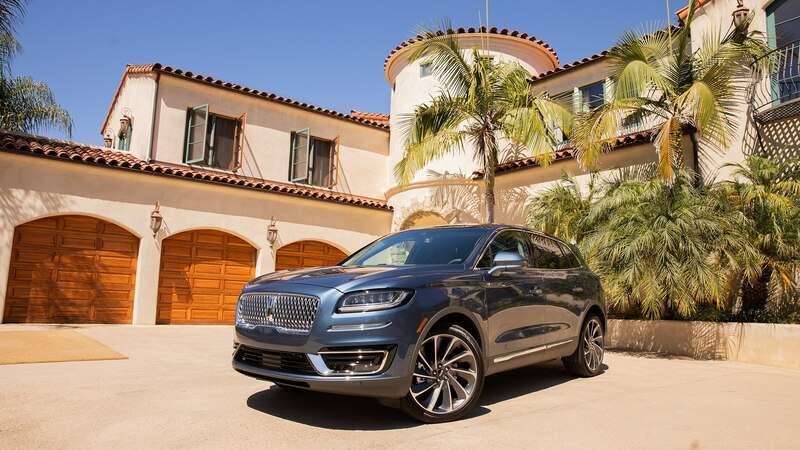 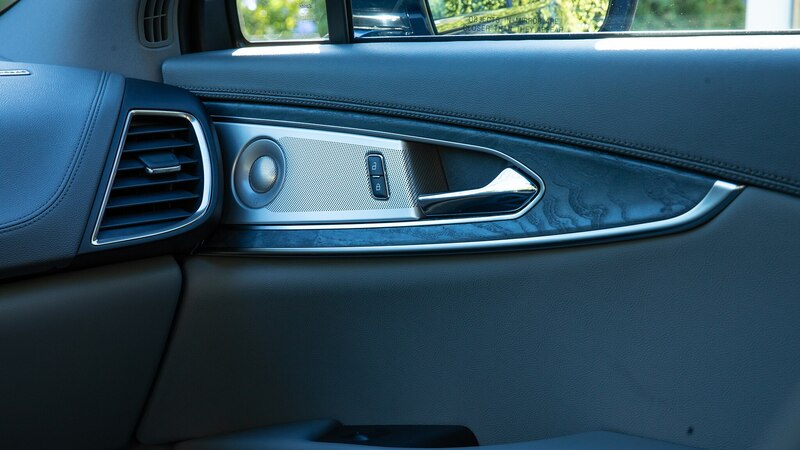 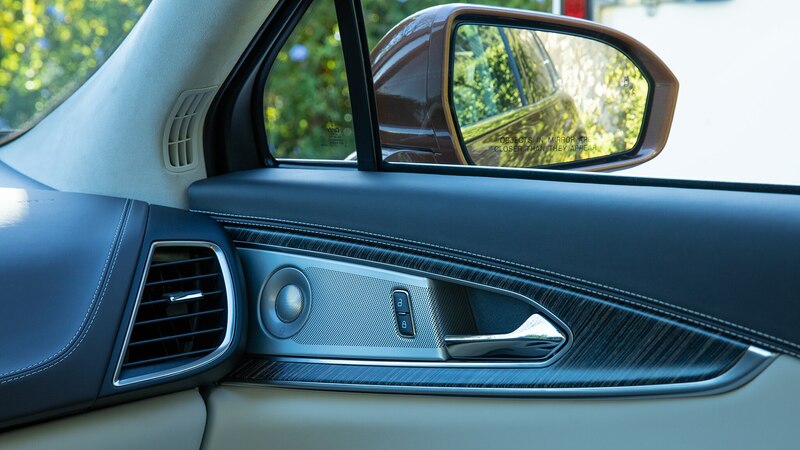 The Lincoln Nautilus Black Label’s base price is $8,020 more than the next-highest trim level, Reserve, which raises the question of whether a.) 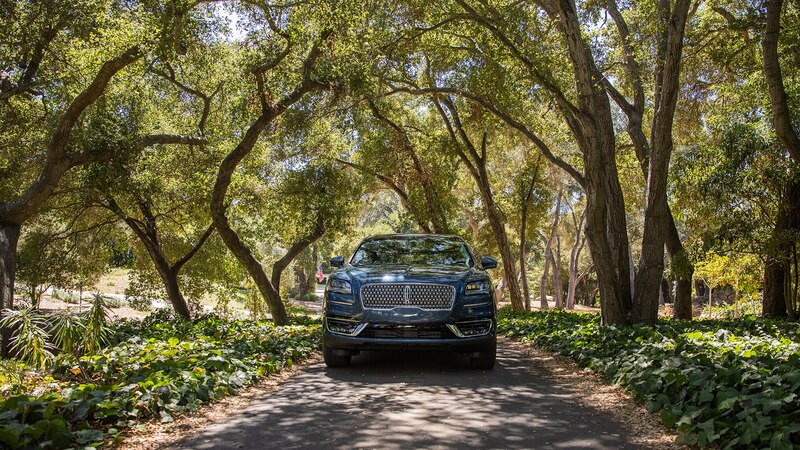 all that experiential luxury is worth it, and b.) 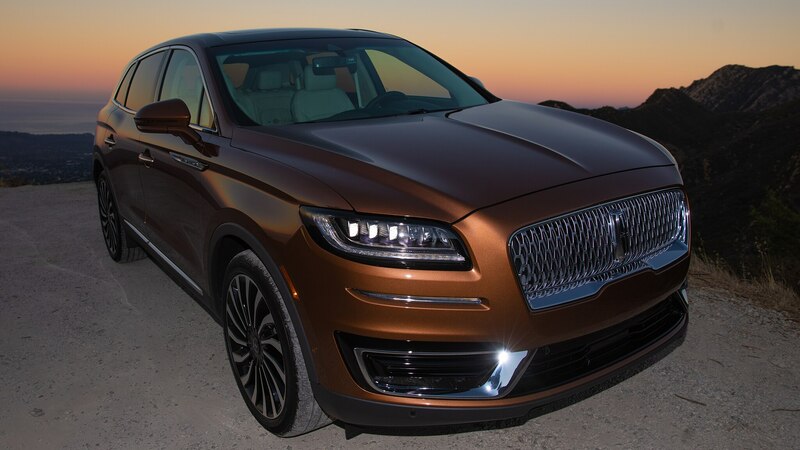 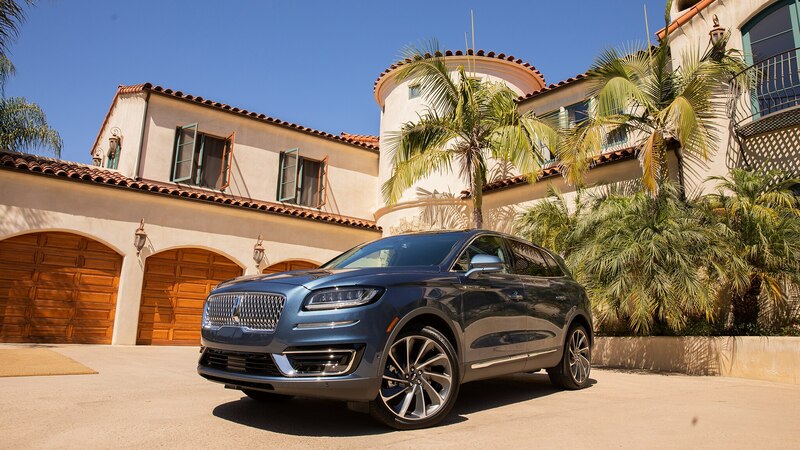 Lincoln can sell in the high atmosphere of the German luxury brands. 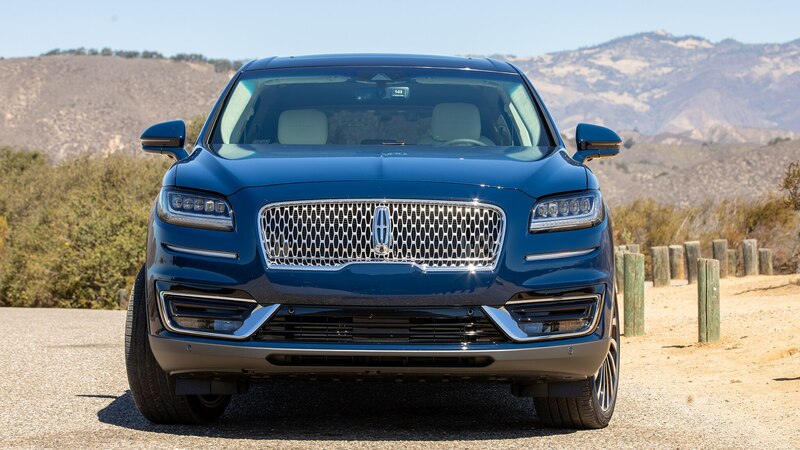 That seems a bit optimistic, though with its new, much-improved look, quiet and compliant ride and comfy seats, the $45,540 Lincoln Nautilus Select and $49,870 Reserve are legitimate competitors for similar SUVs from Acura, Cadillac, Infiniti, and even Lexus.